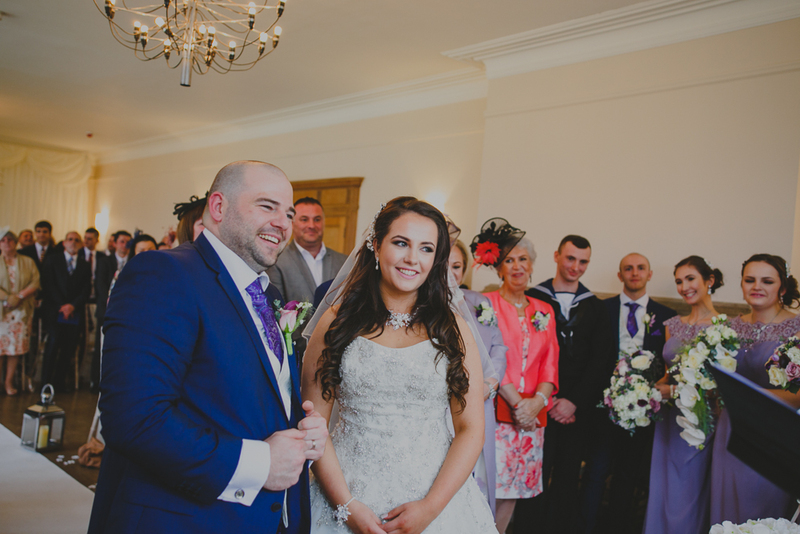 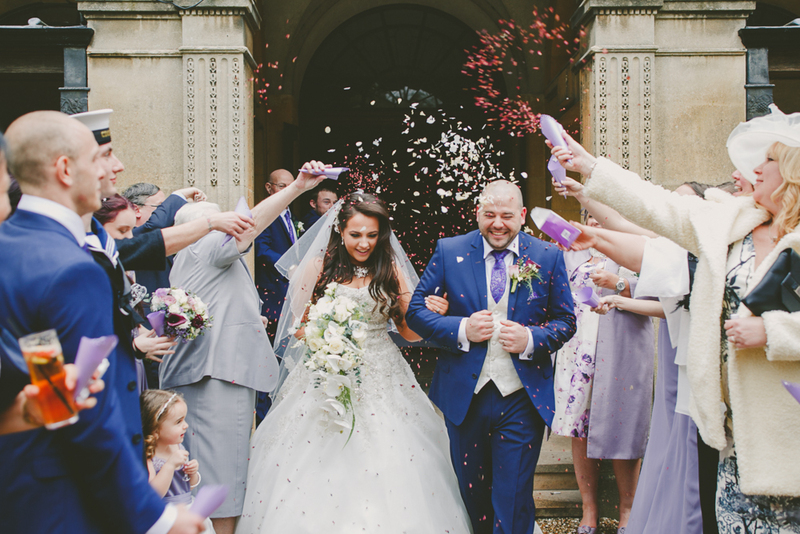 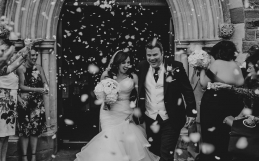 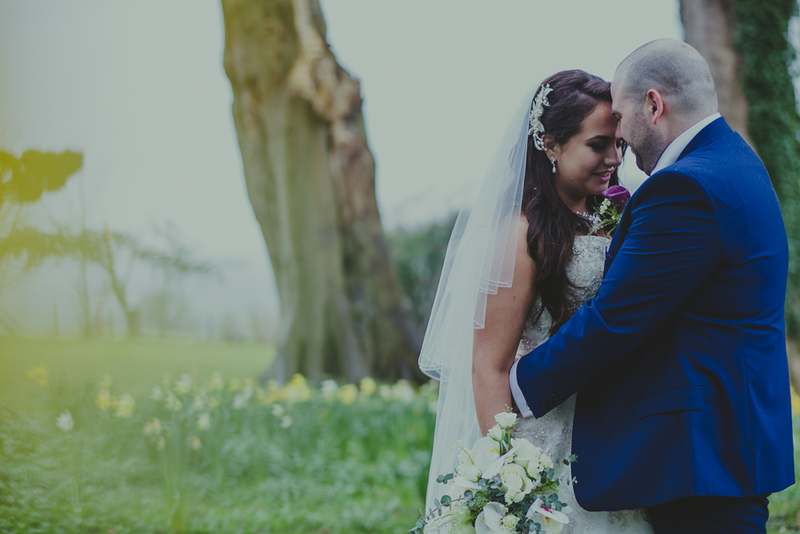 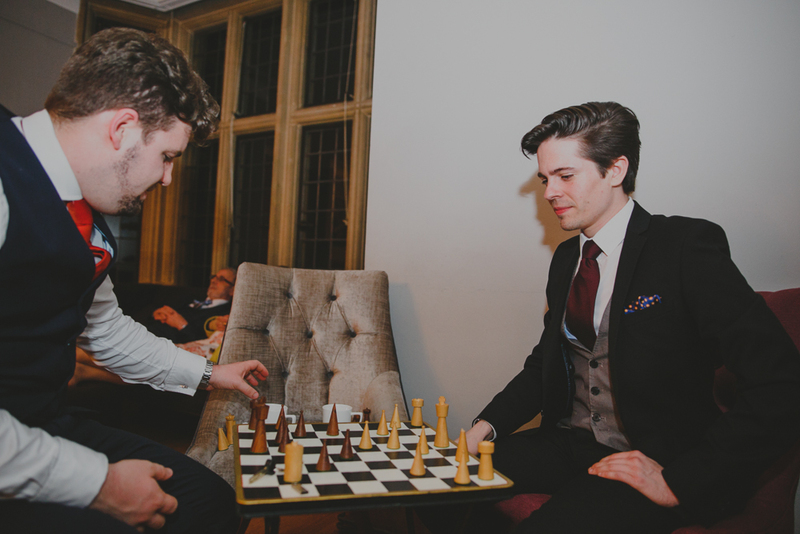 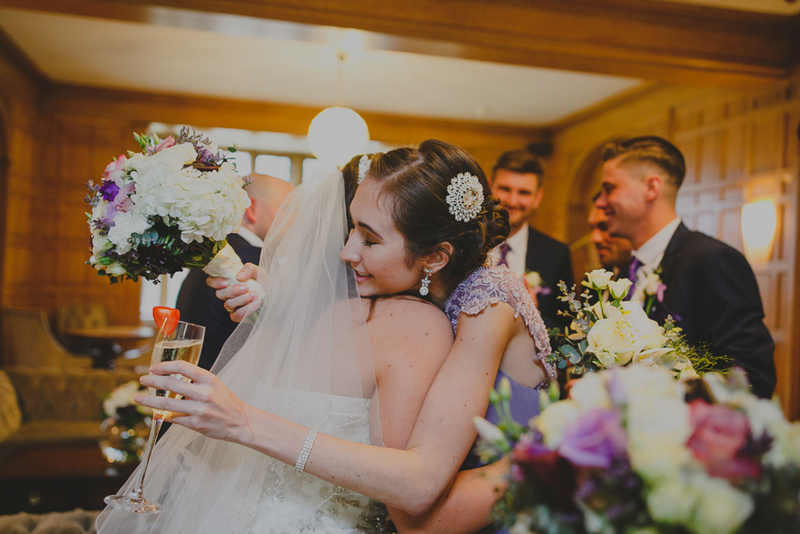 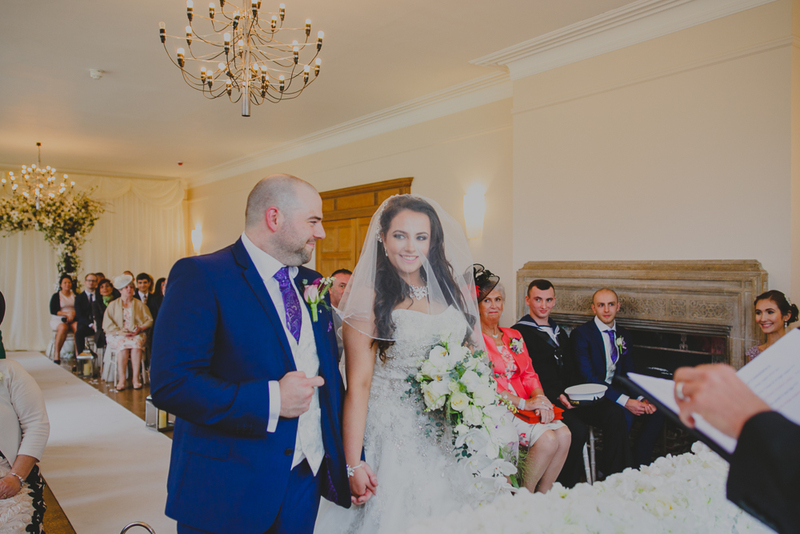 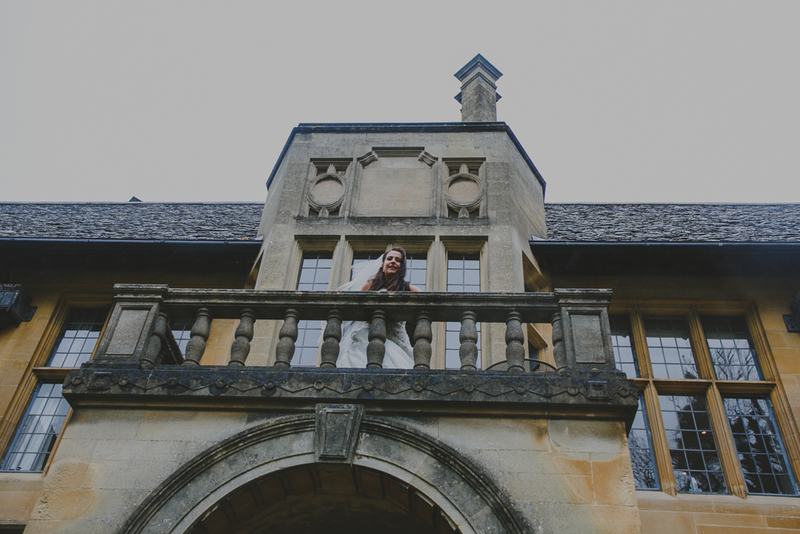 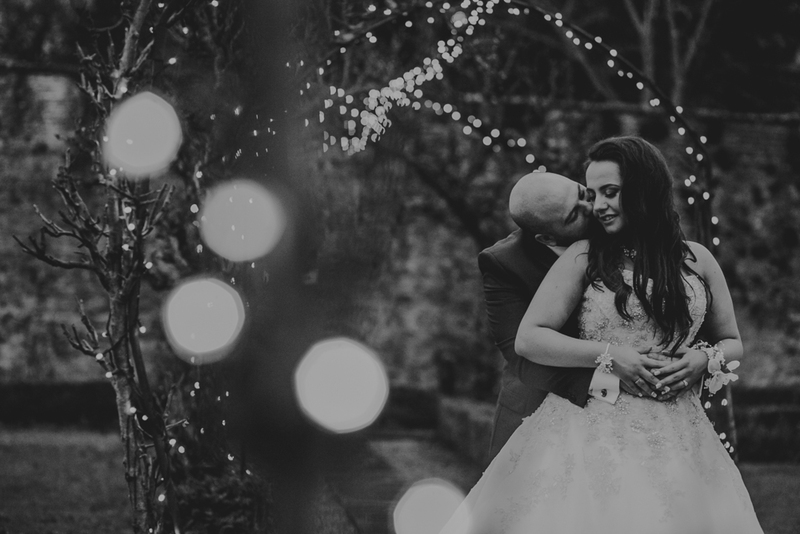 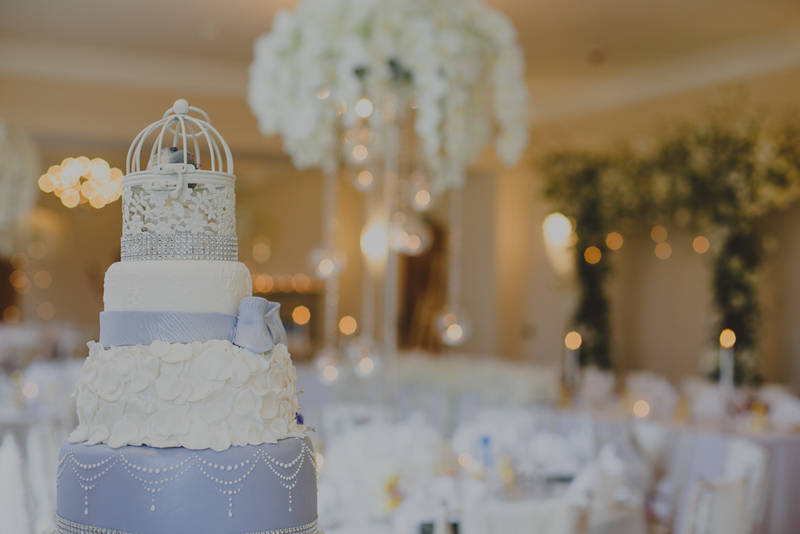 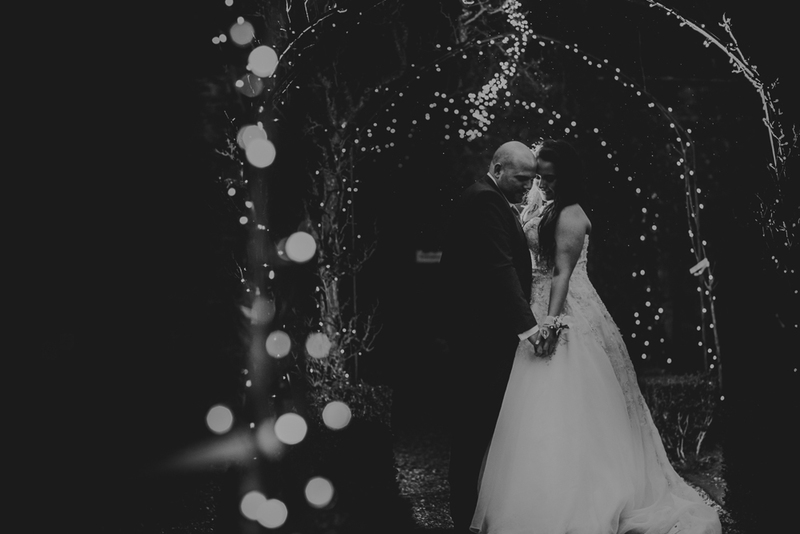 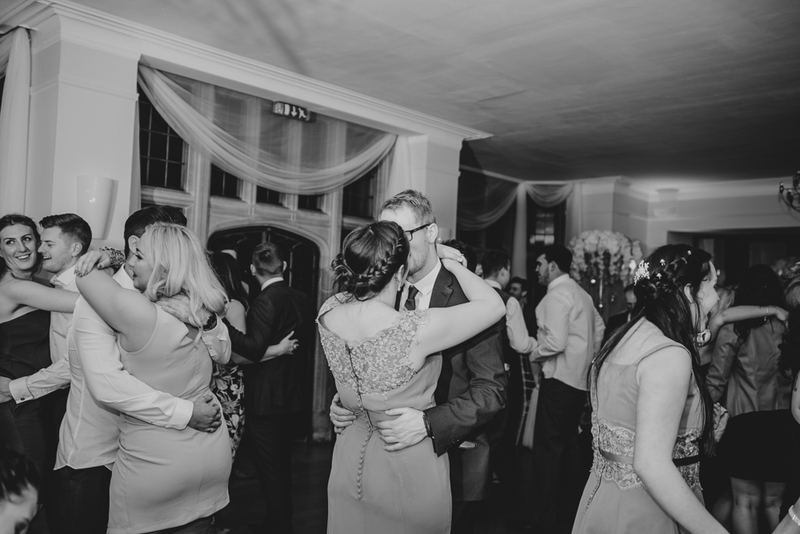 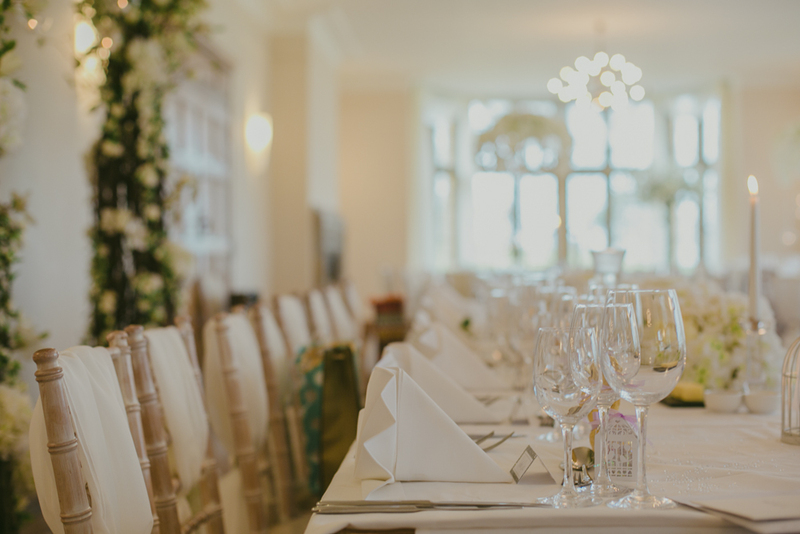 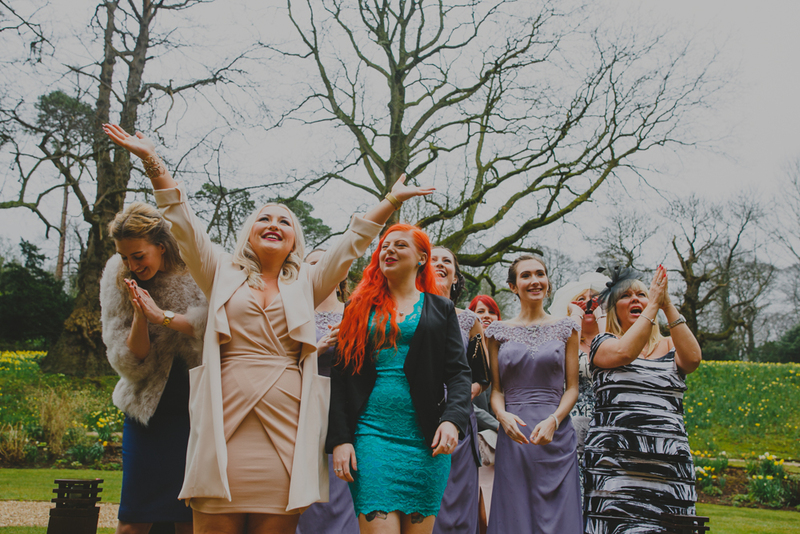 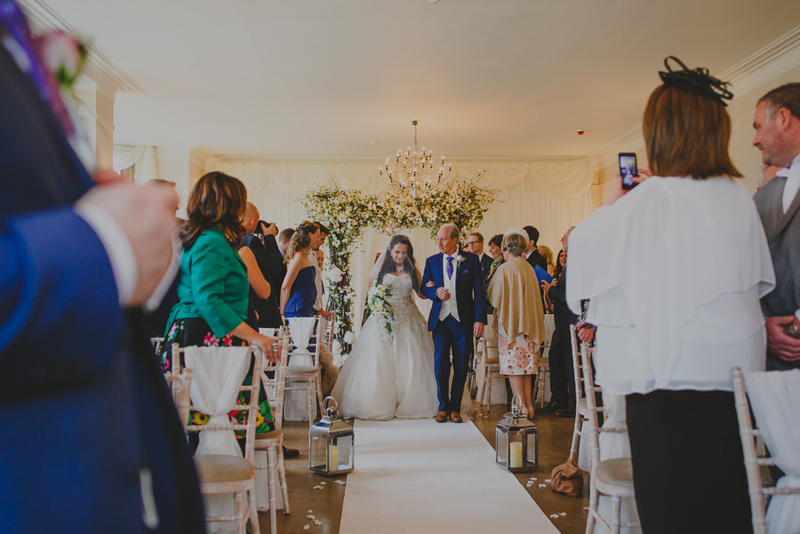 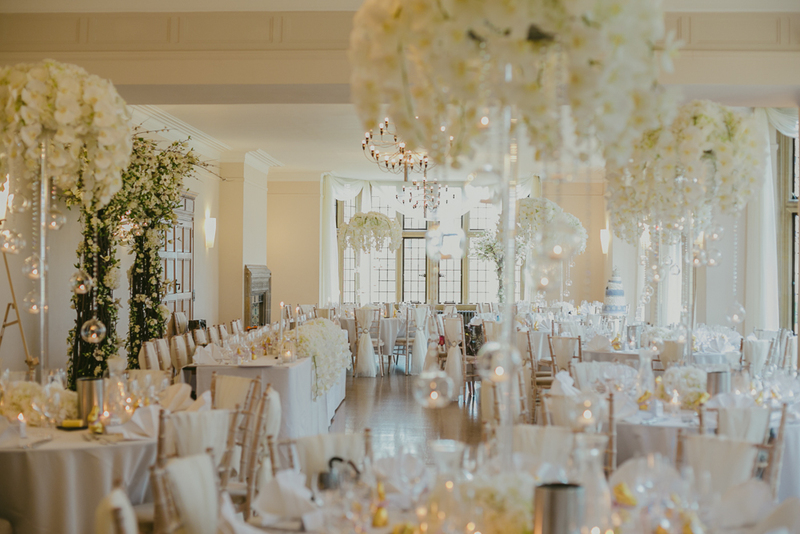 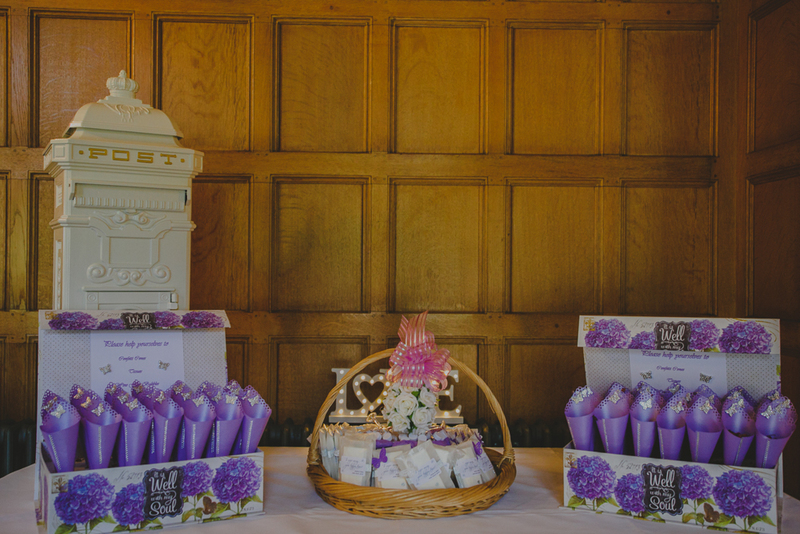 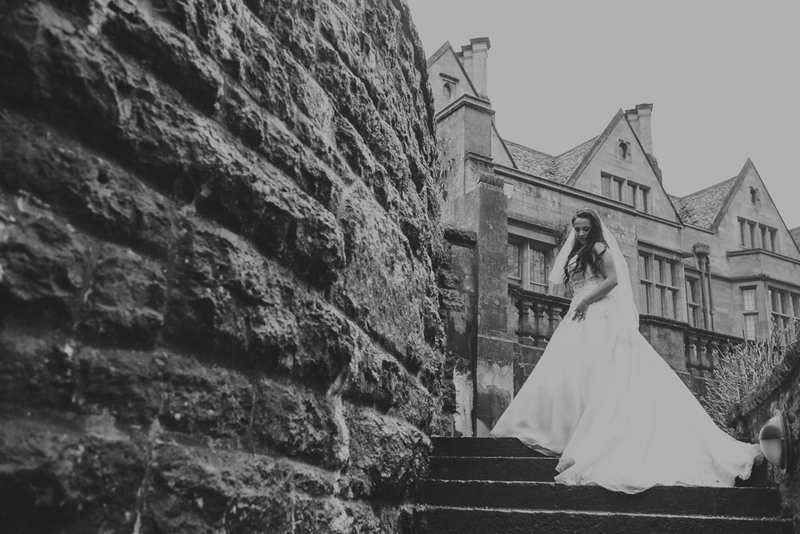 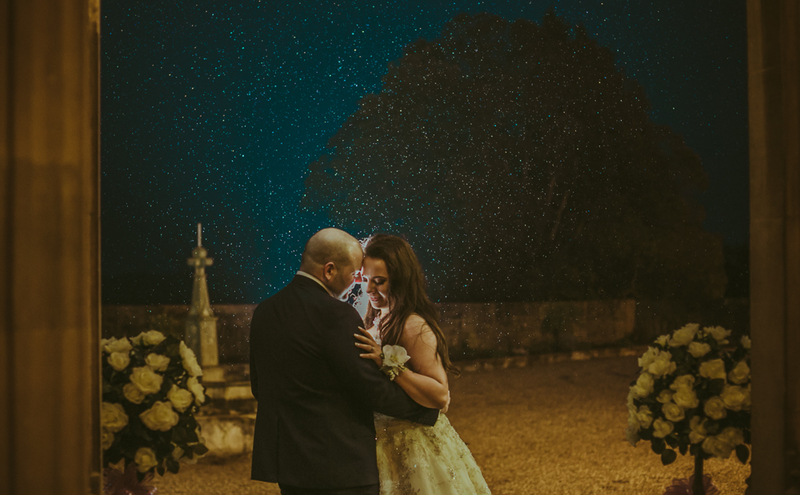 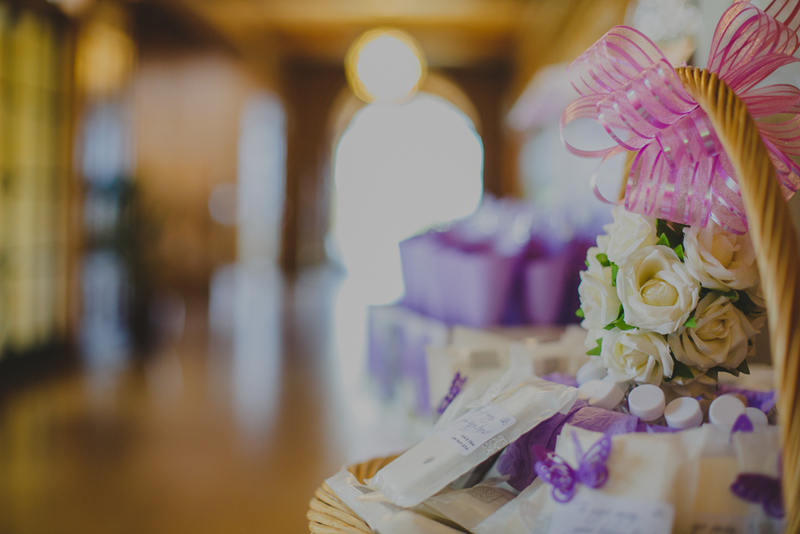 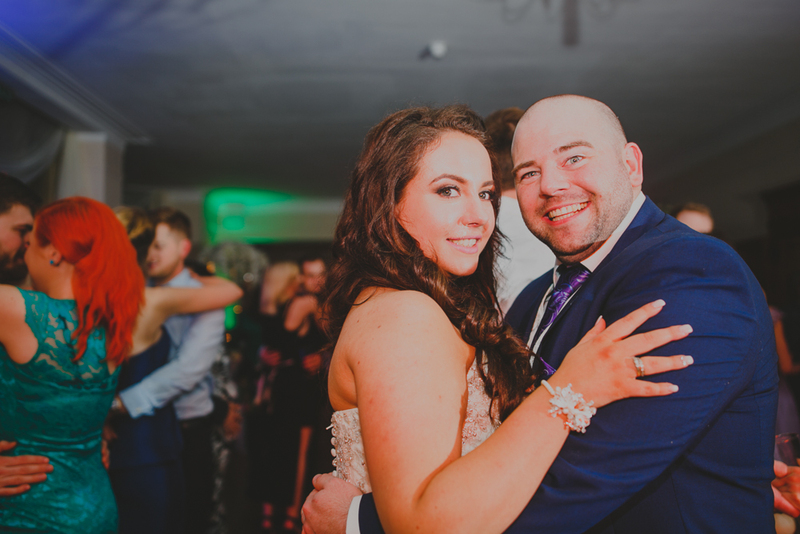 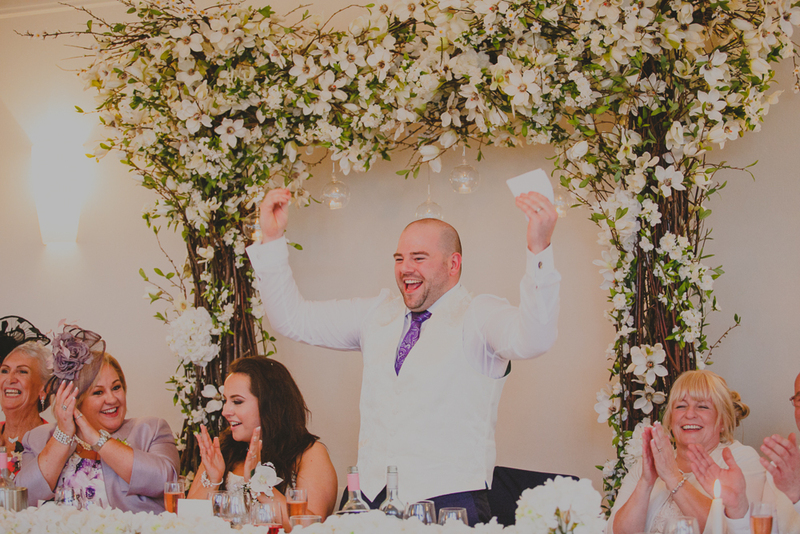 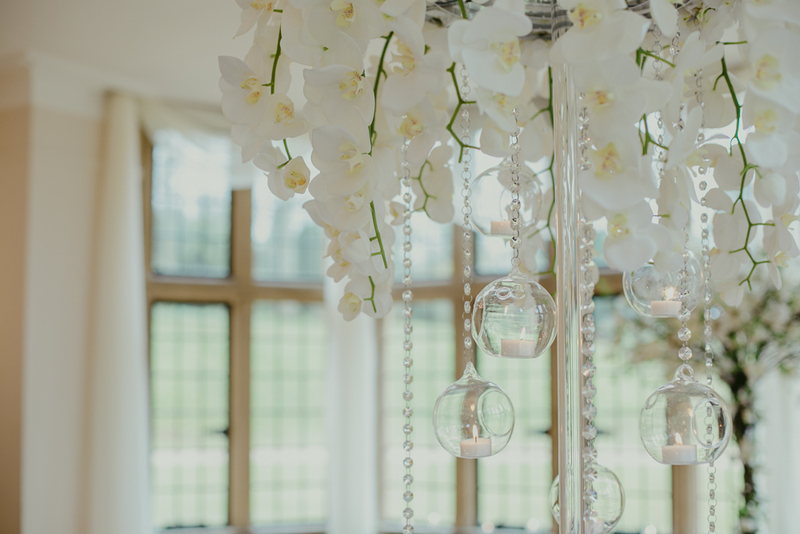 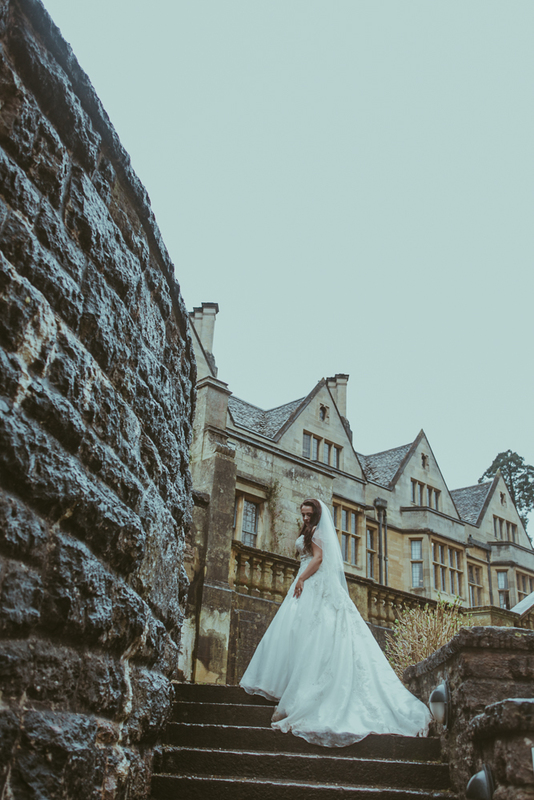 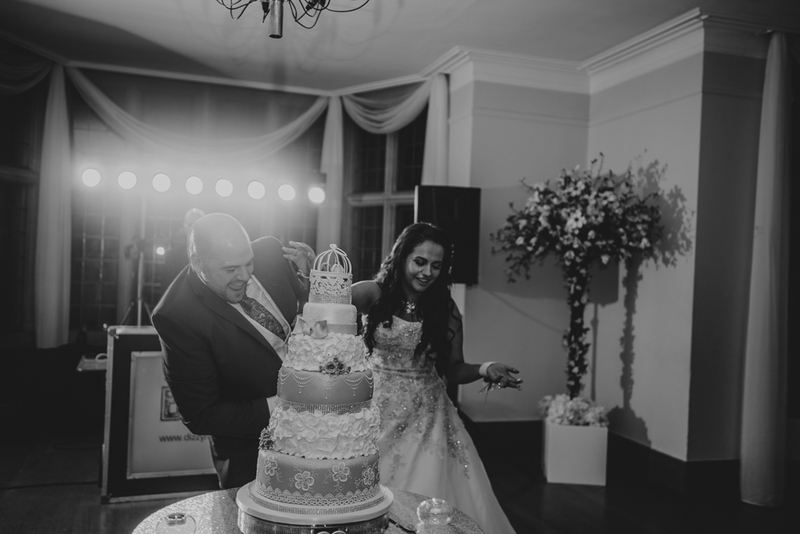 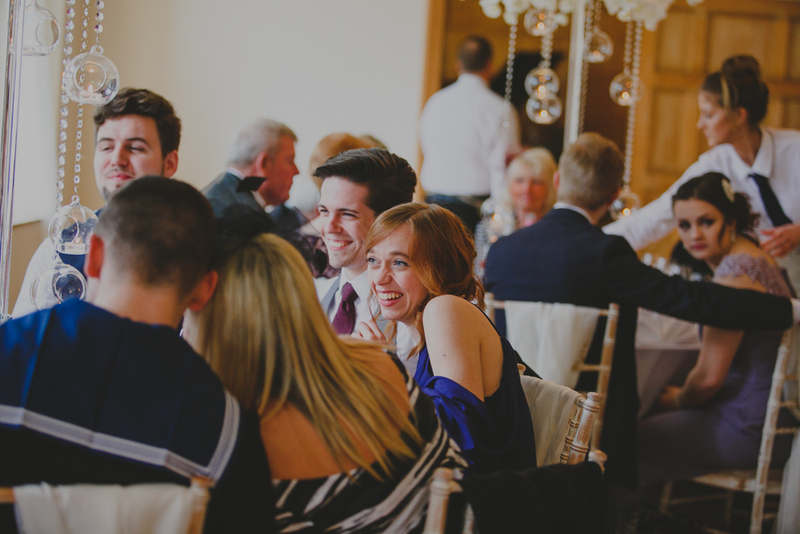 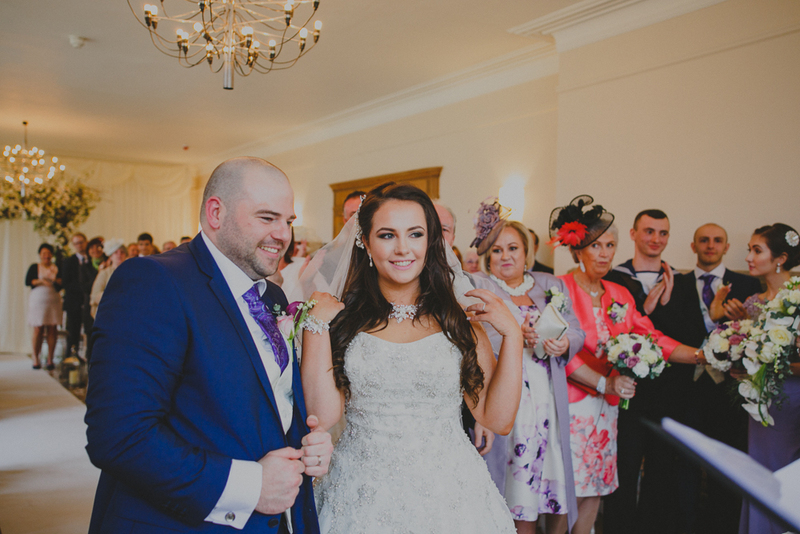 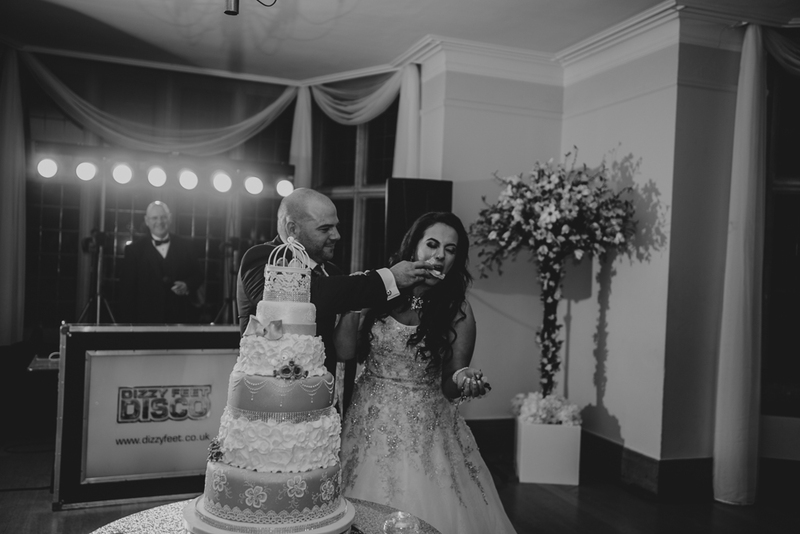 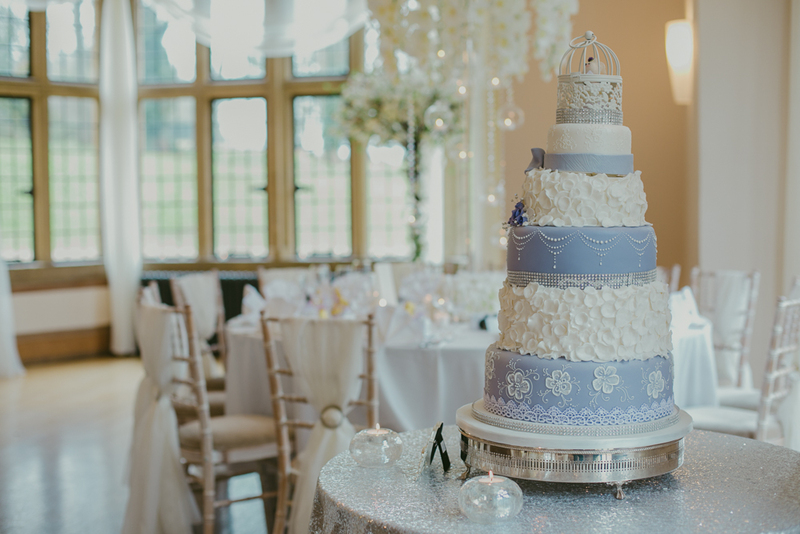 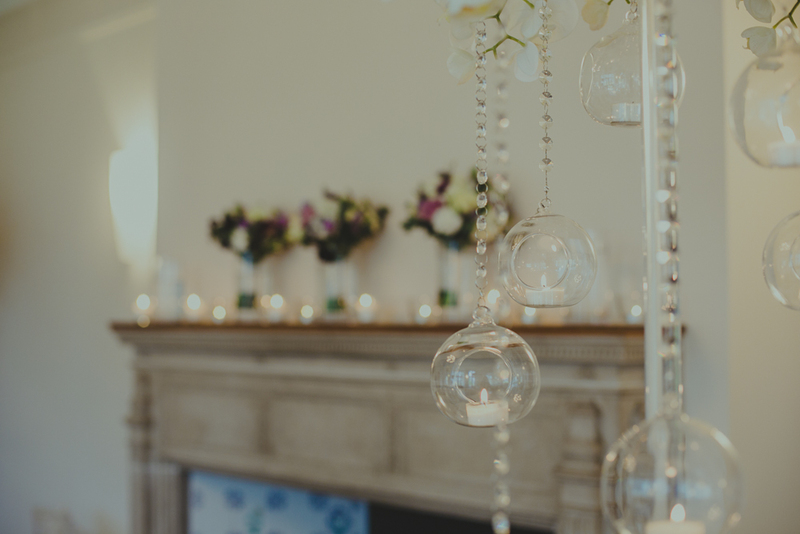 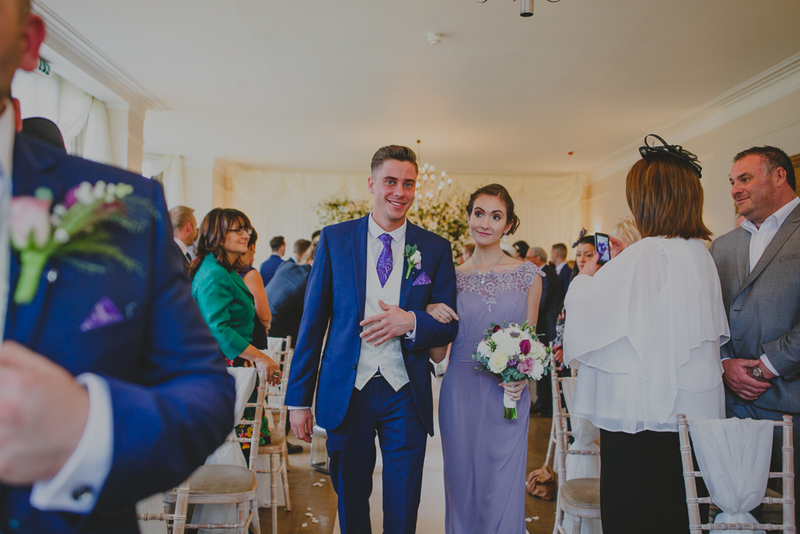 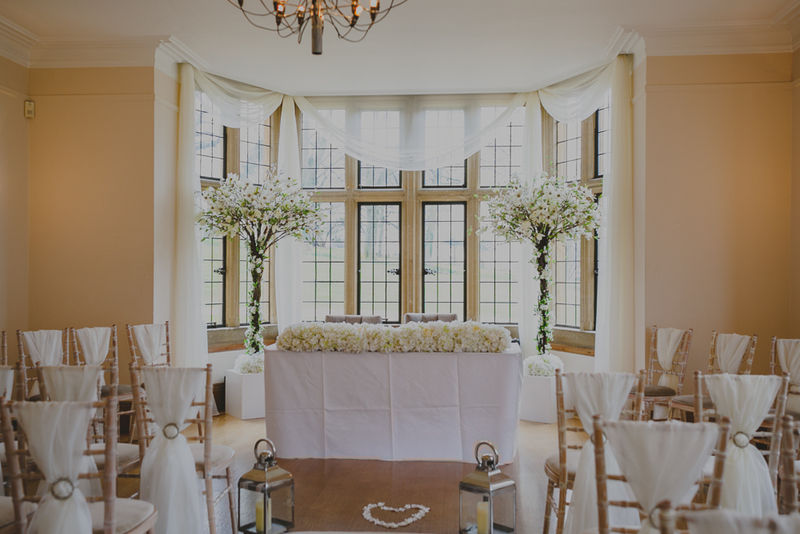 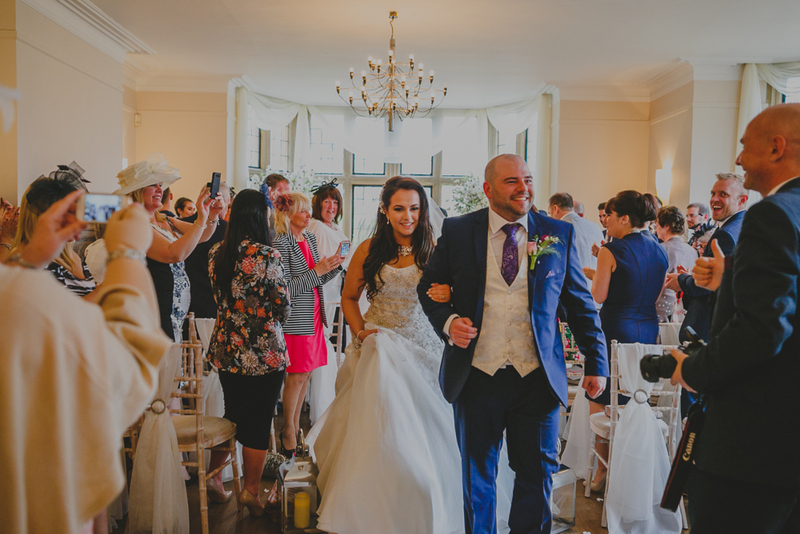 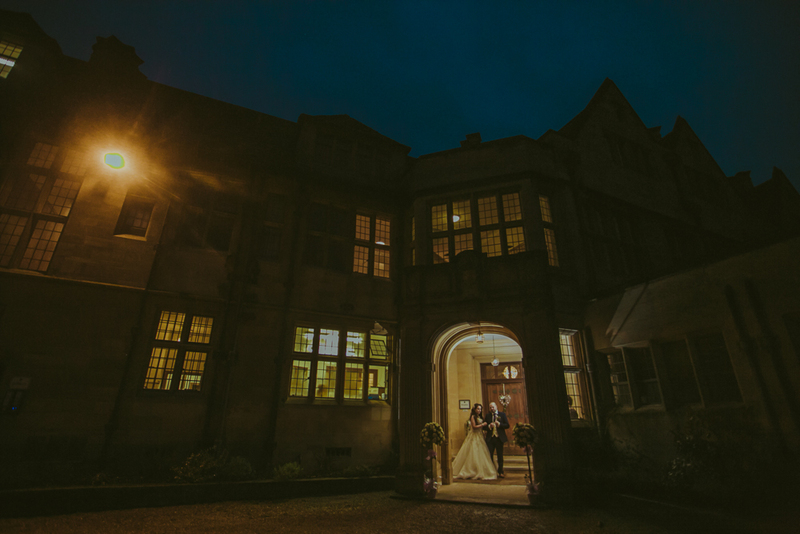 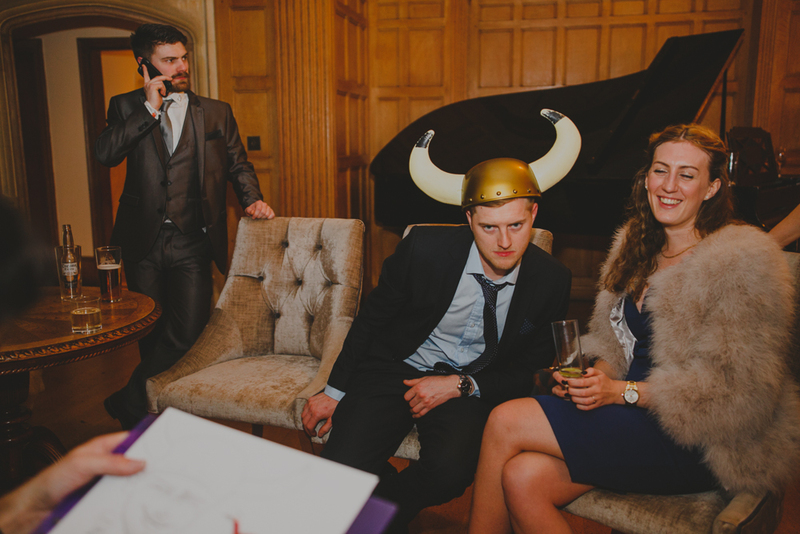 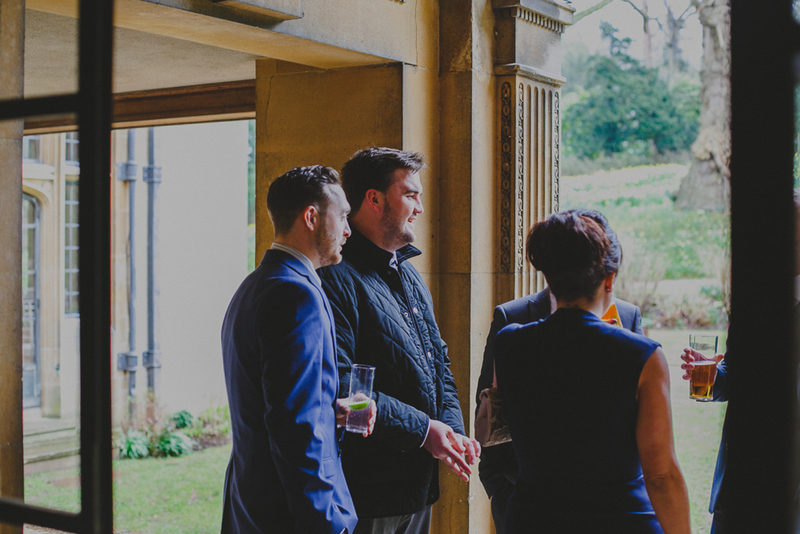 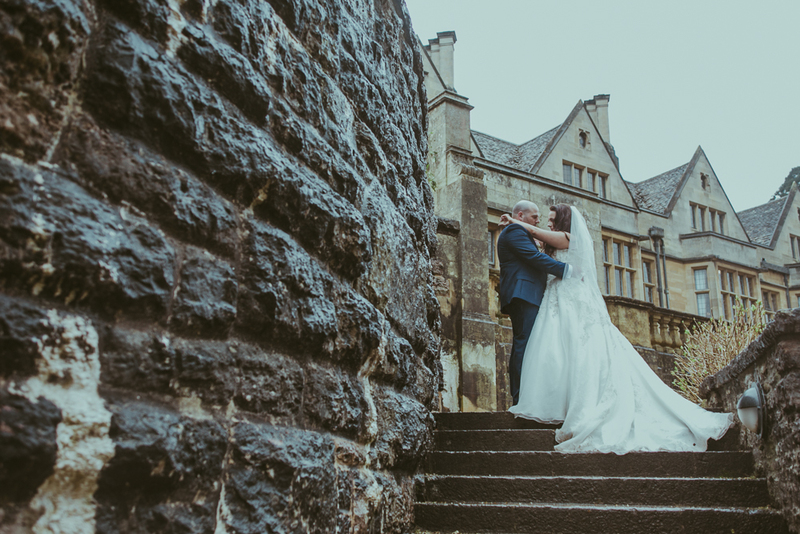 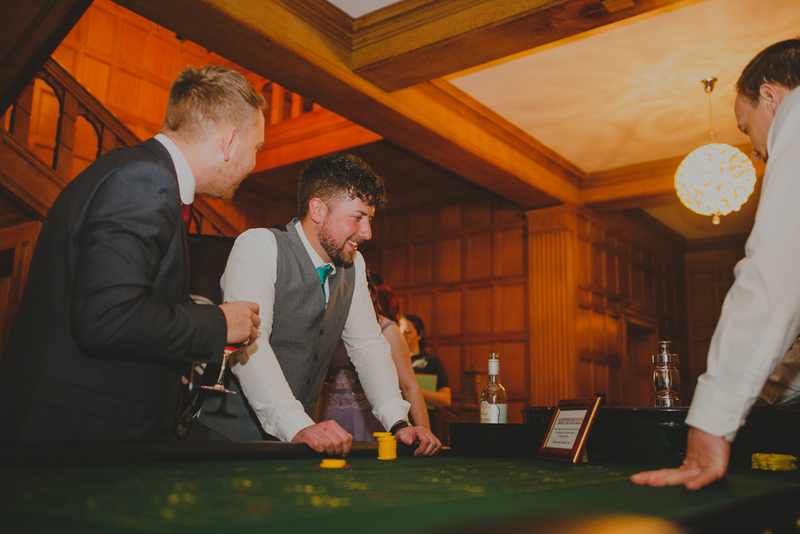 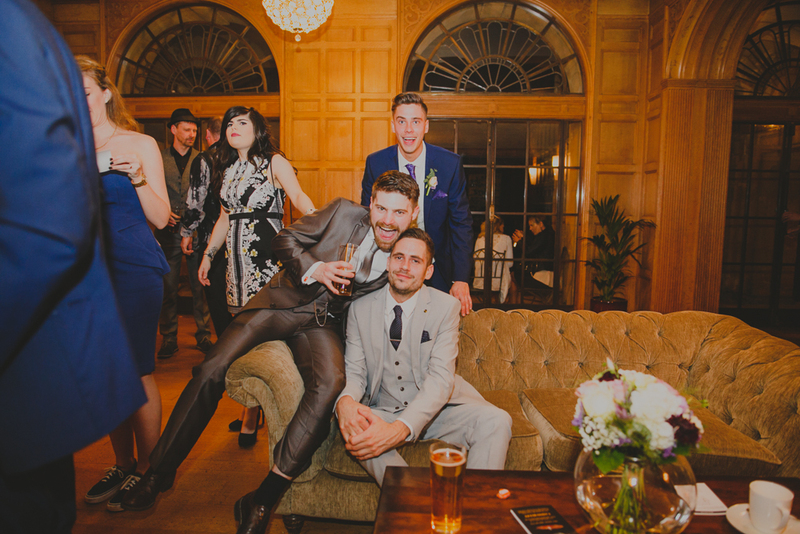 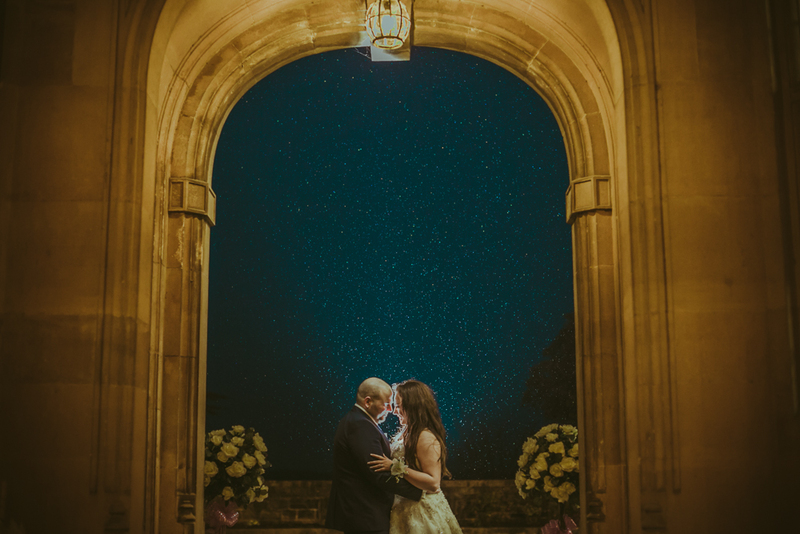 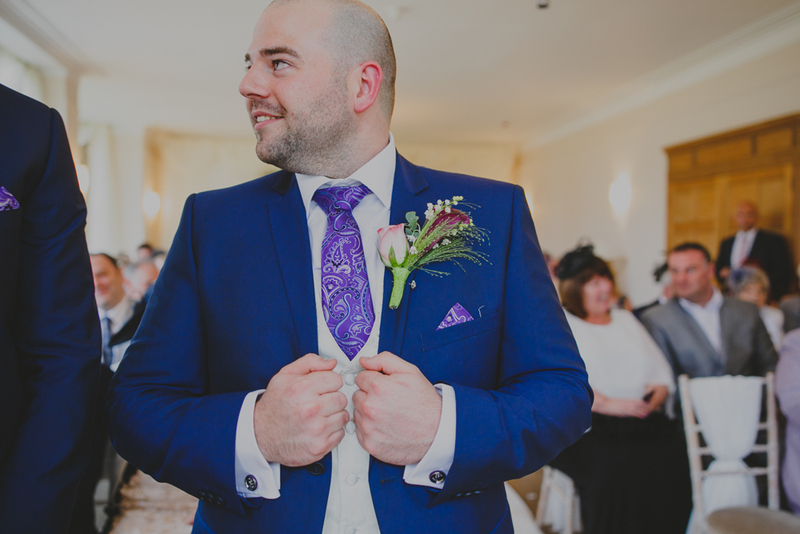 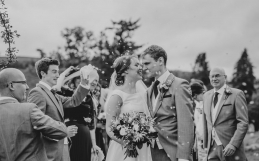 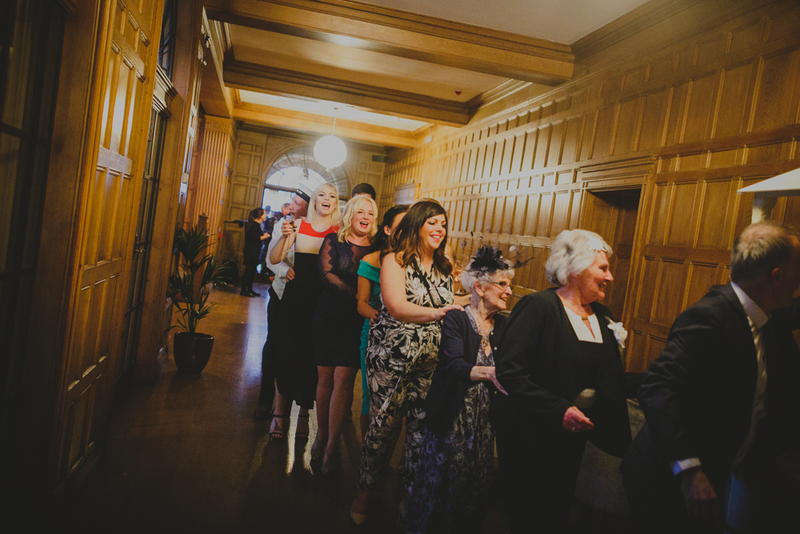 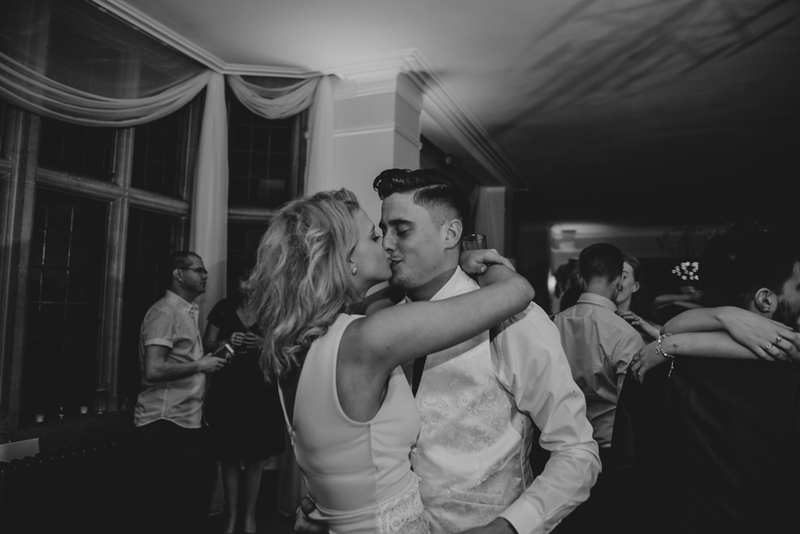 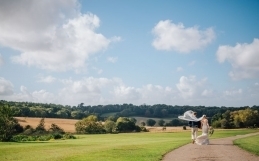 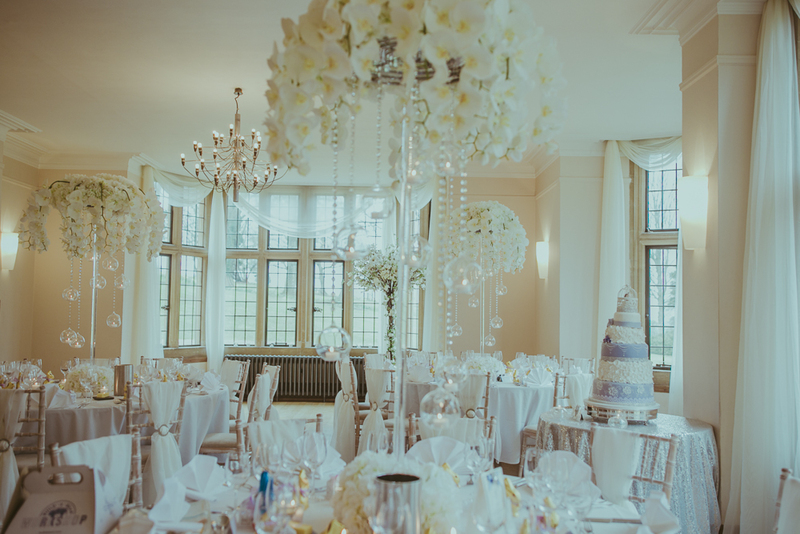 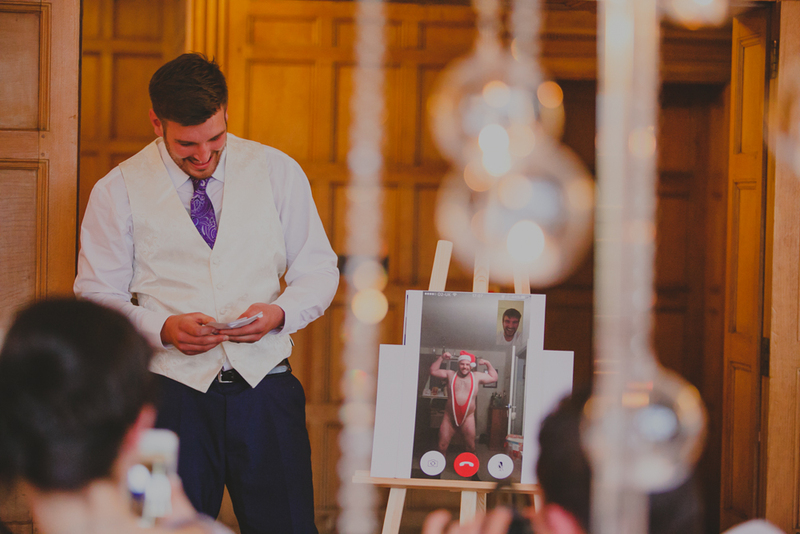 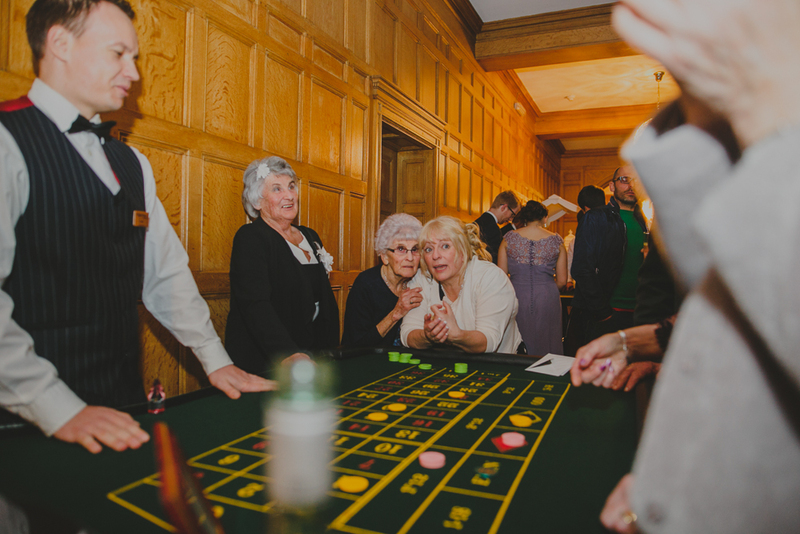 Coombe Lodge is a magnificent wedding venue in the South West, near Bristol, it is nestled into the Mendip Hills with stunning views and beautiful architecture both inside and out. 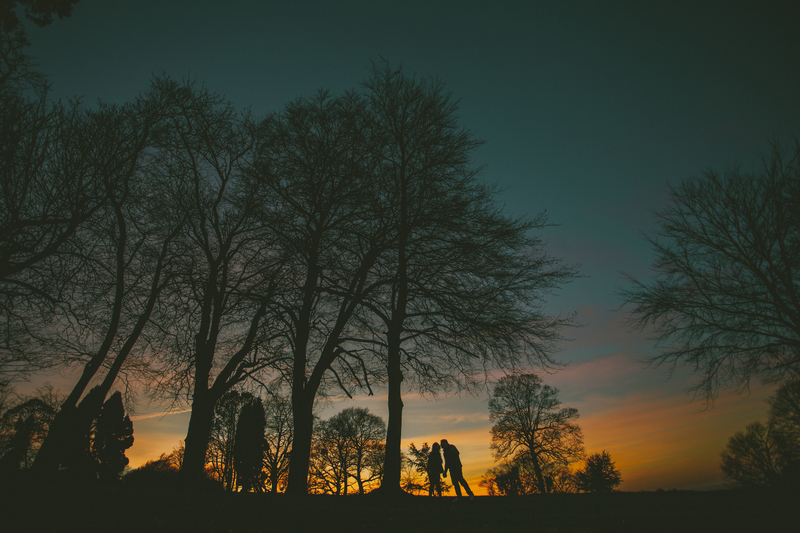 Nicole and Steve booked me over 2 years ago and we came to Coombe Lodge for their Harmony Session two Springs ago, where we caught the tail end of a dramatic sunset. 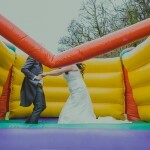 I always knew their wedding would be nothing short of epic and it did not disappoint. 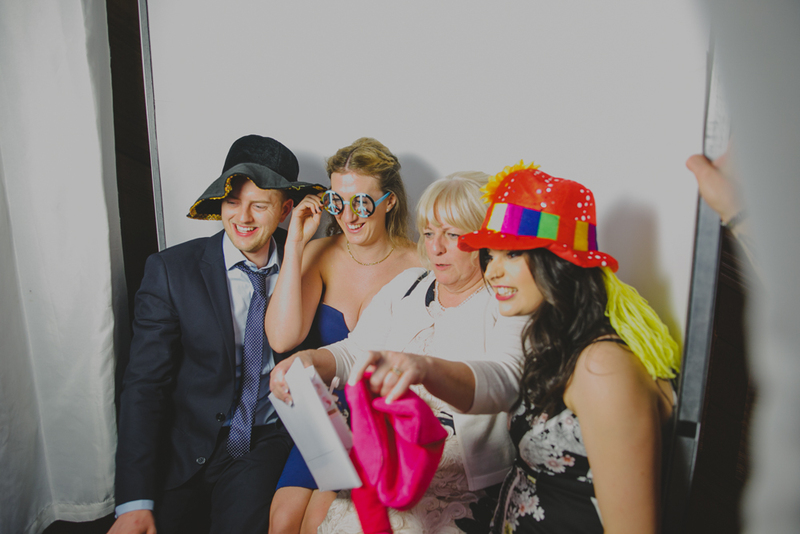 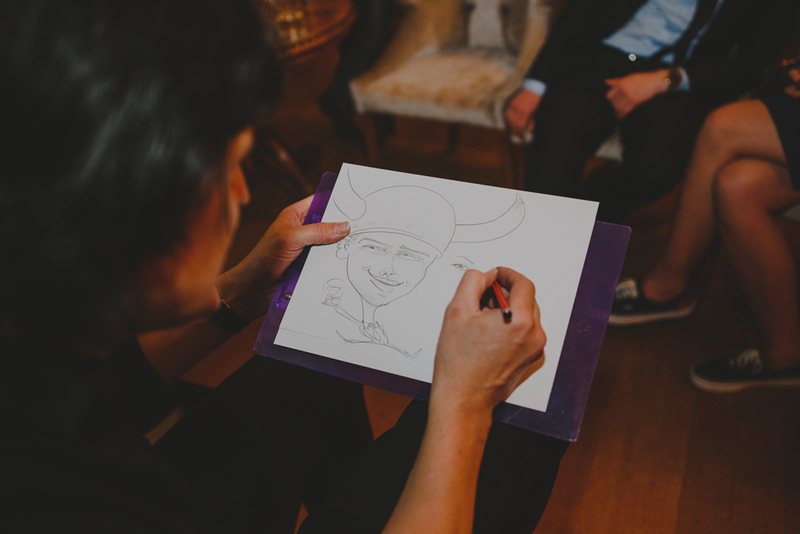 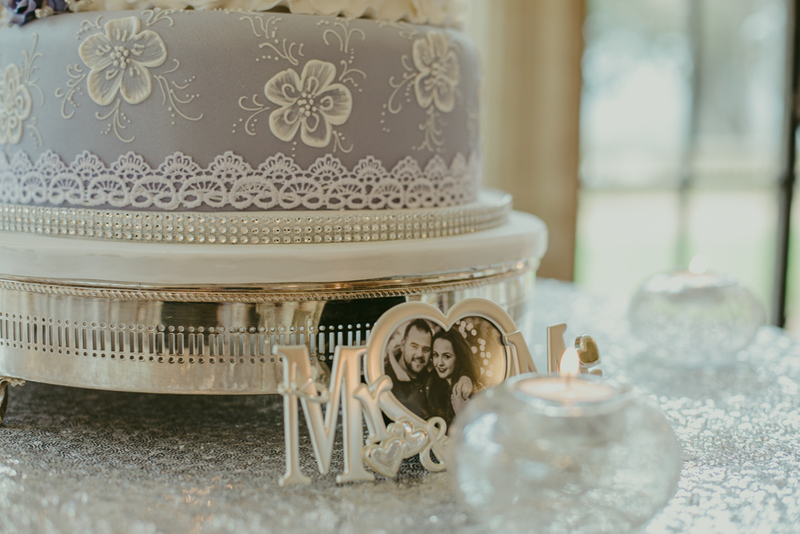 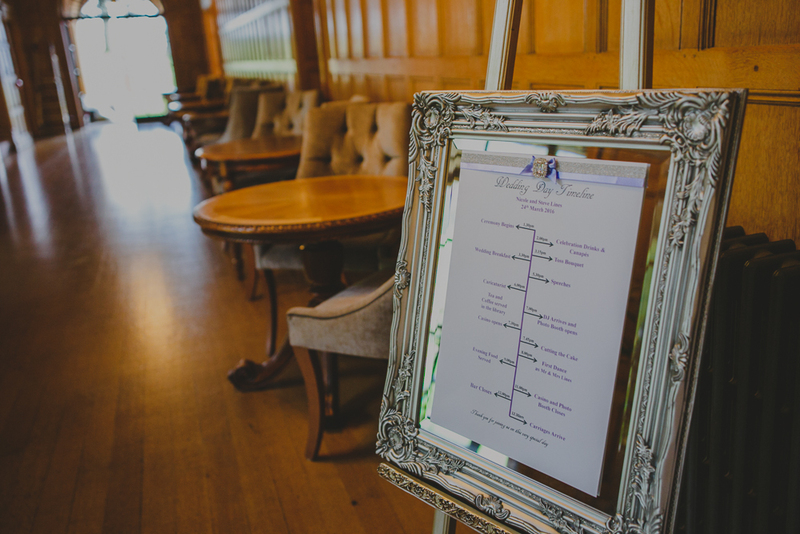 So many details went into the day to make enjoyable for their guests. 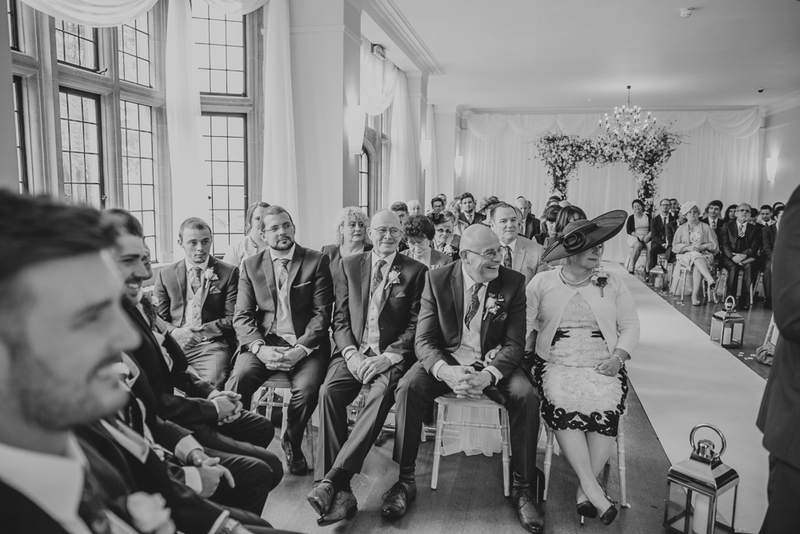 Here were some key players who made their day, they all come highly recommended. 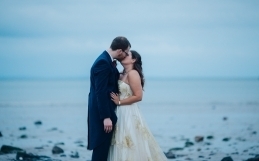 Wedding Dress: Justin Alexander (Designer) from Allison Jayne in Clifton. 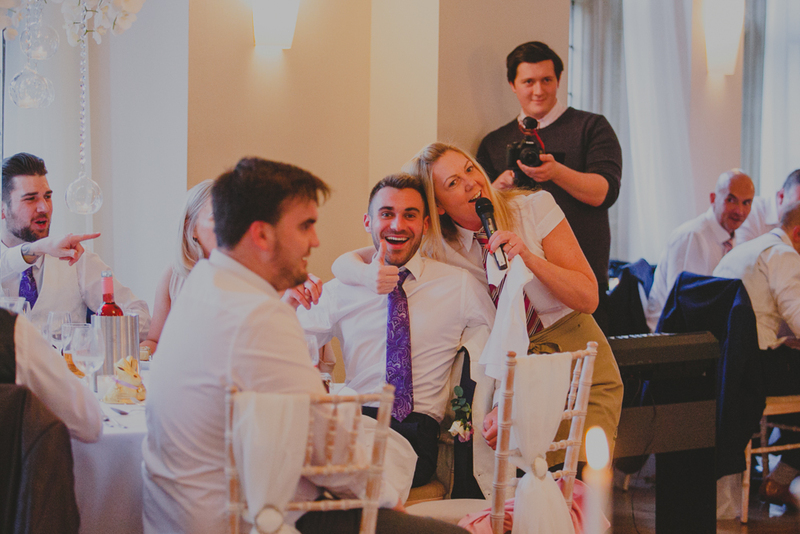 Videographer: Rhubarb Martini Wedding Videography. 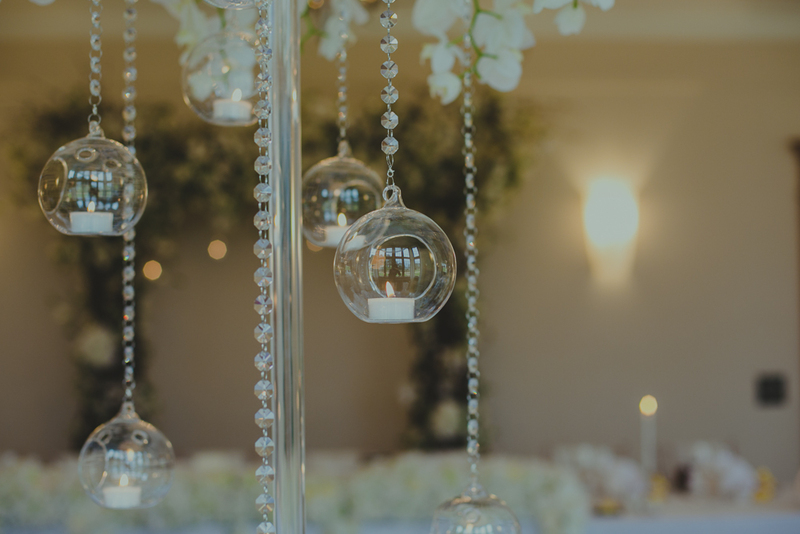 Decor: Wedding Essential Hire (ceremony decor and wedding breakfast centrepiece). 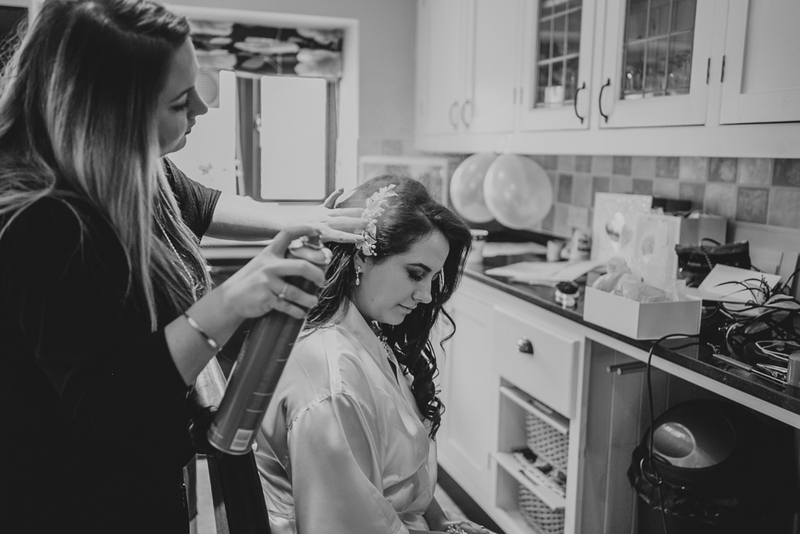 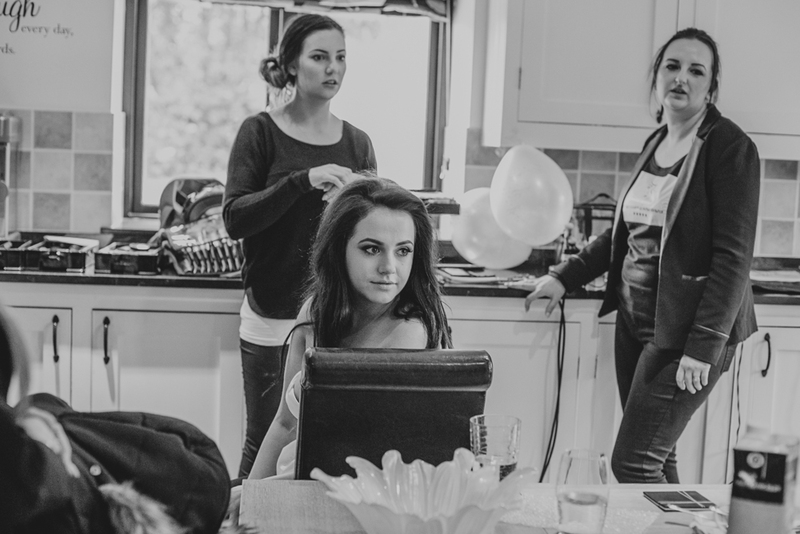 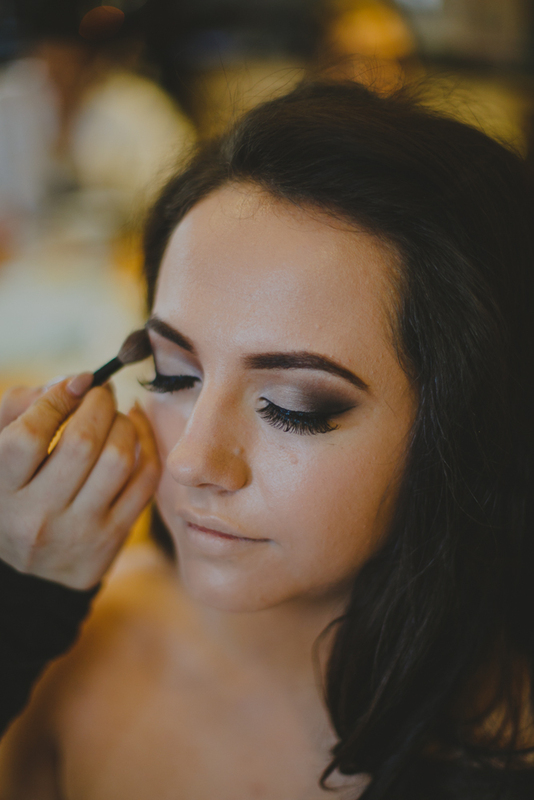 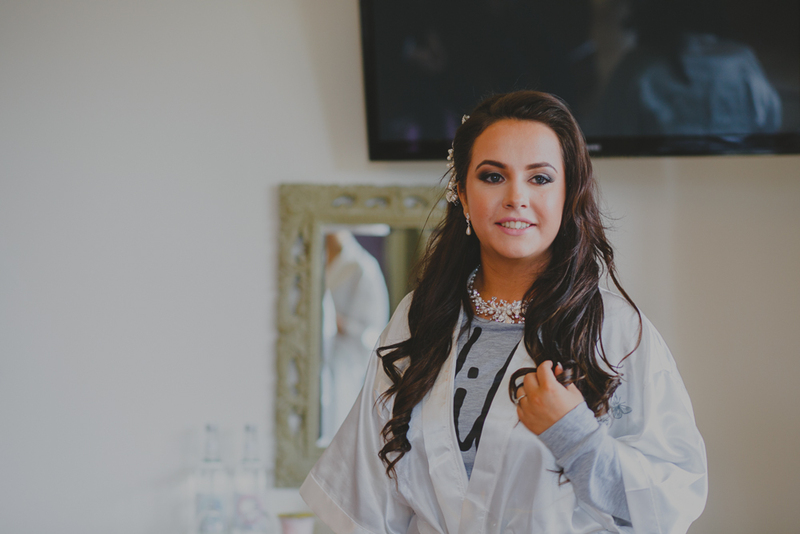 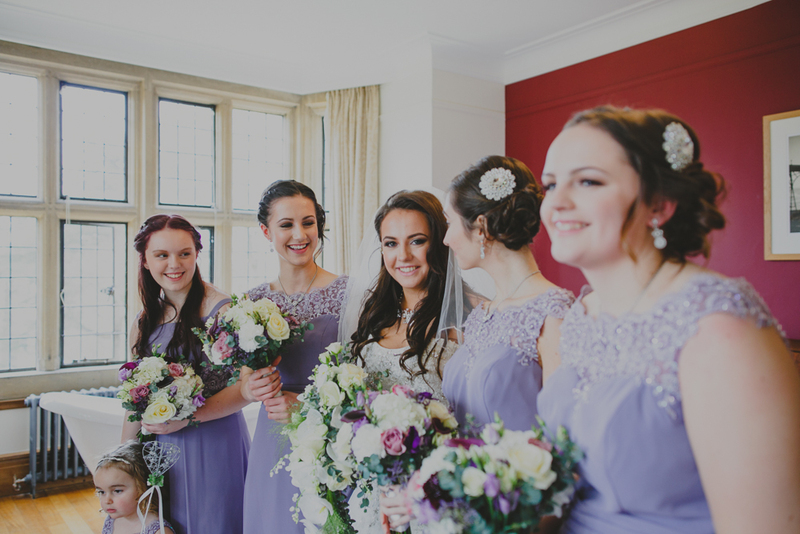 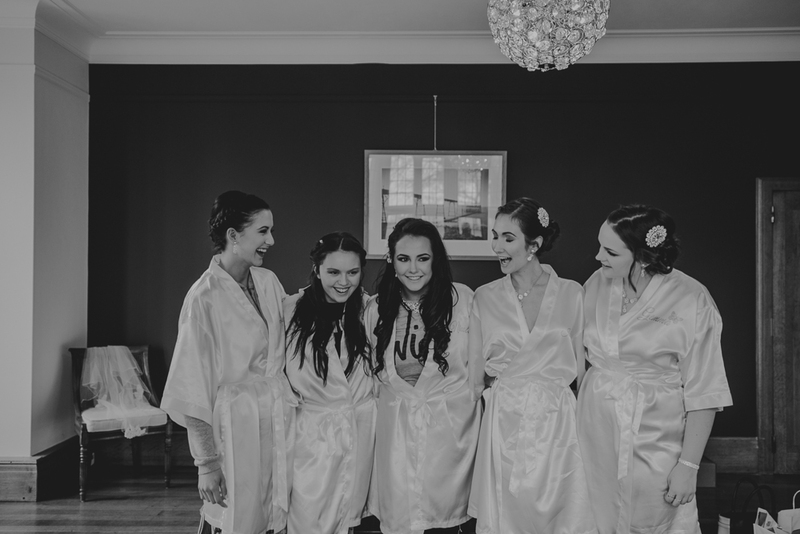 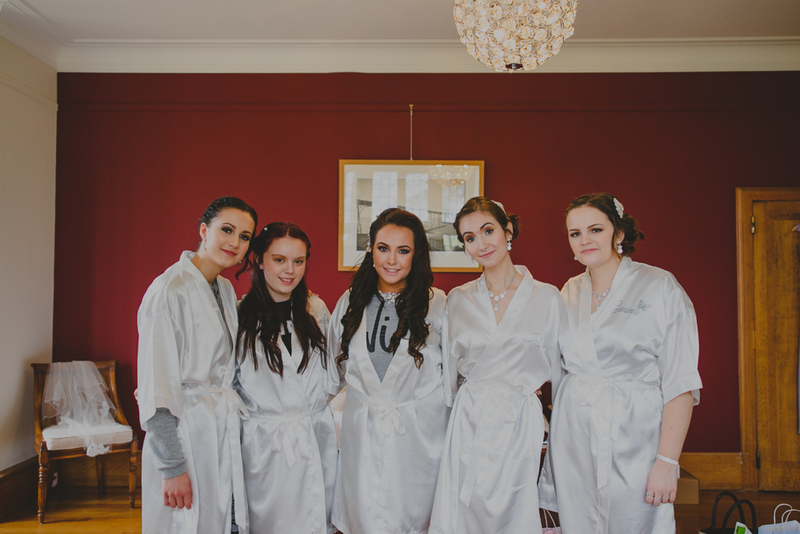 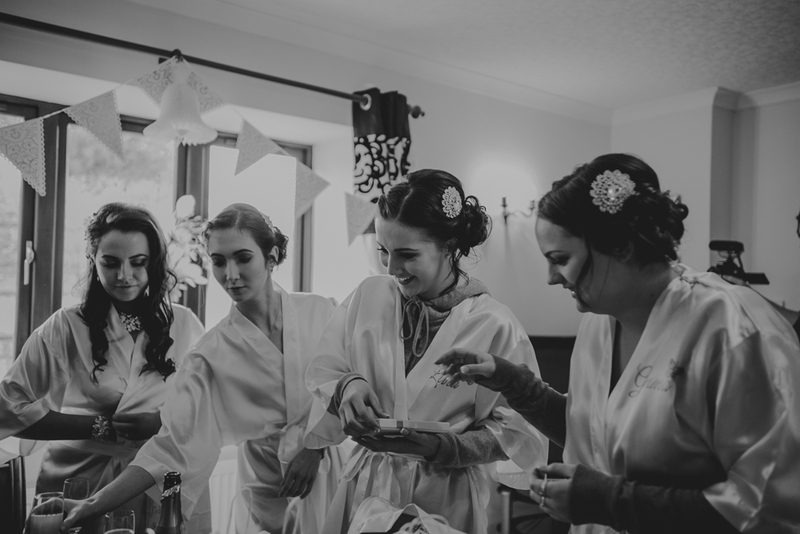 Bridesmaids hair and Make up artist: Airbrush Make up Artist Bristol. 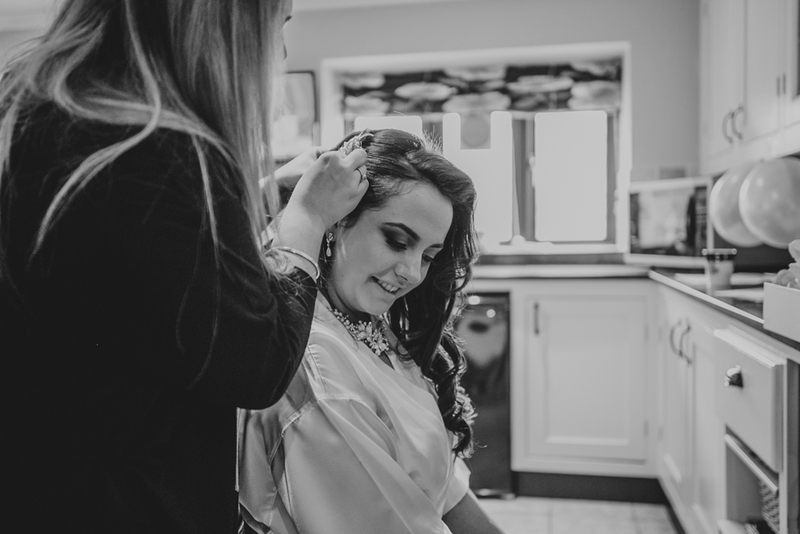 We began morning preparations on her grandparents farm in the South West countryside of Bristol. 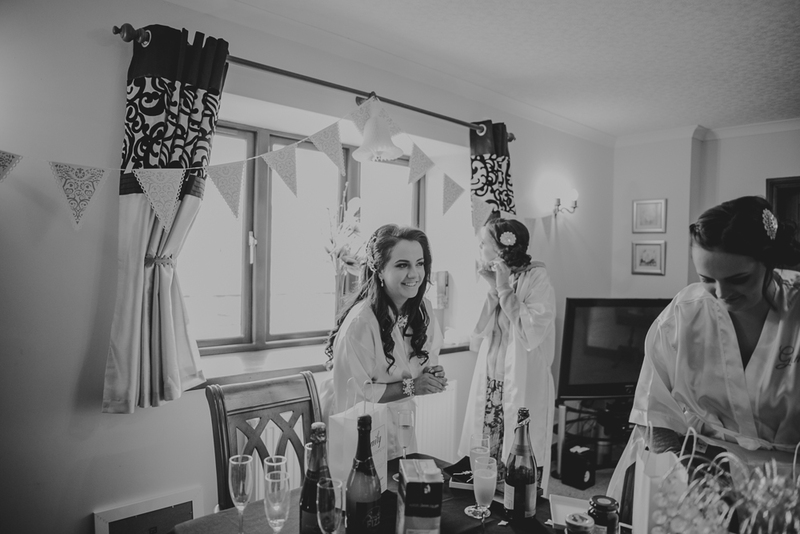 The morning was filled with music and prosecco (two of the finest things in life!). 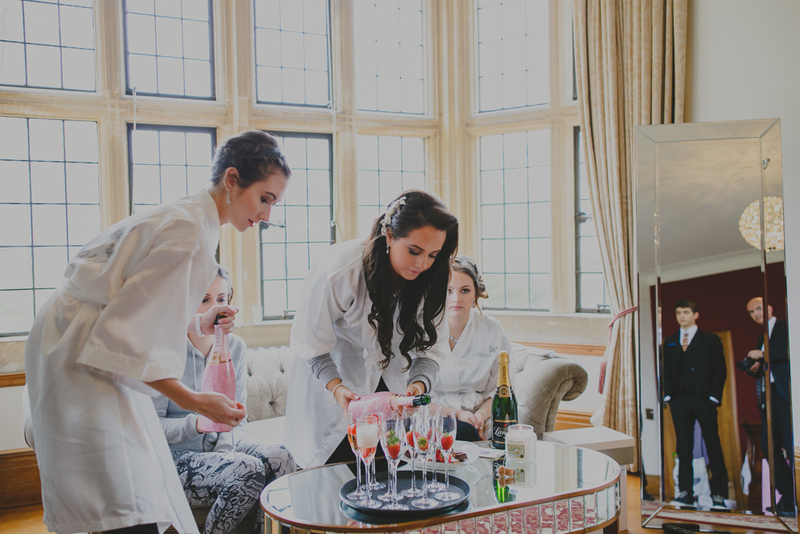 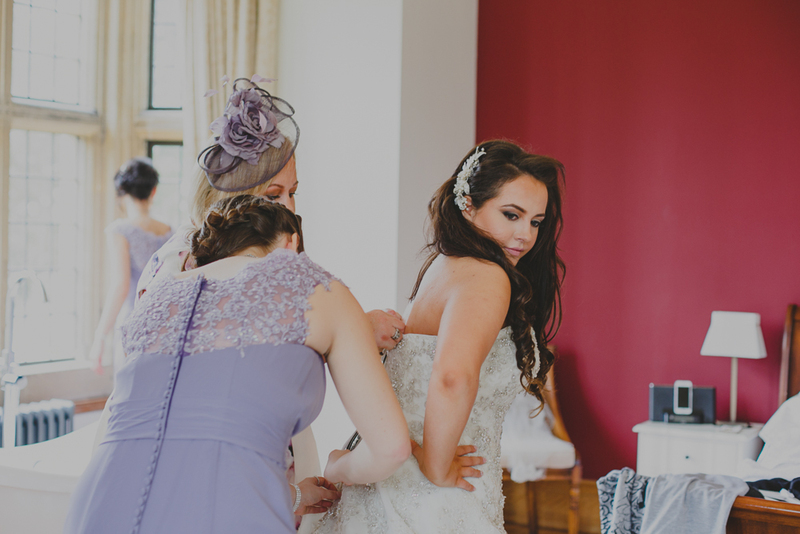 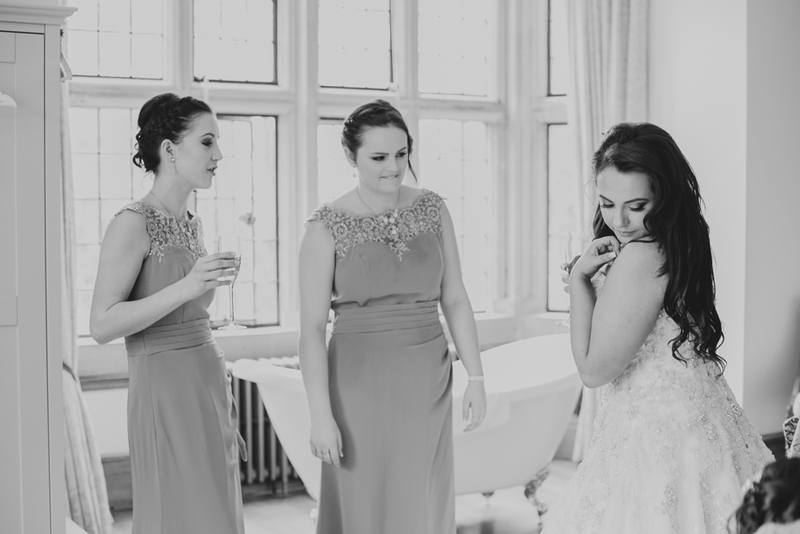 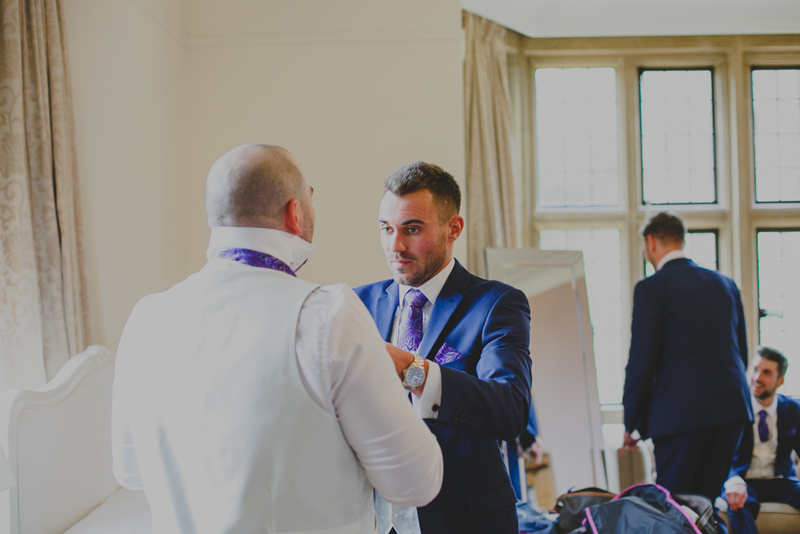 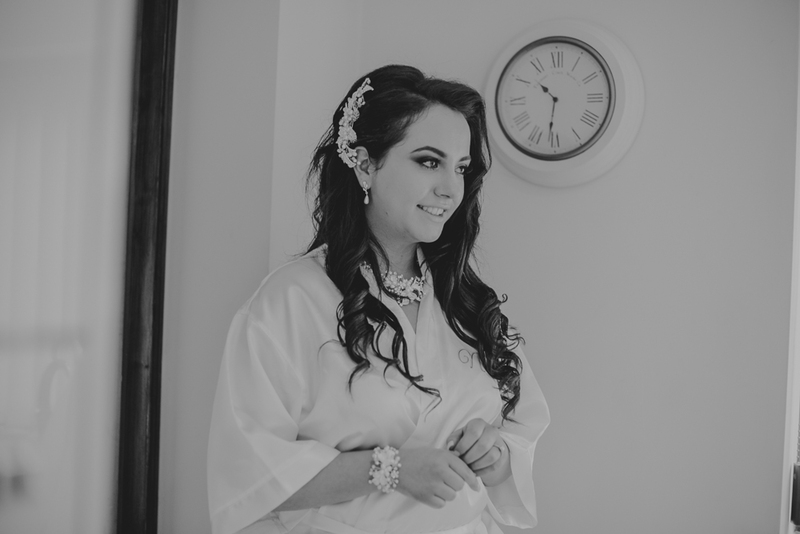 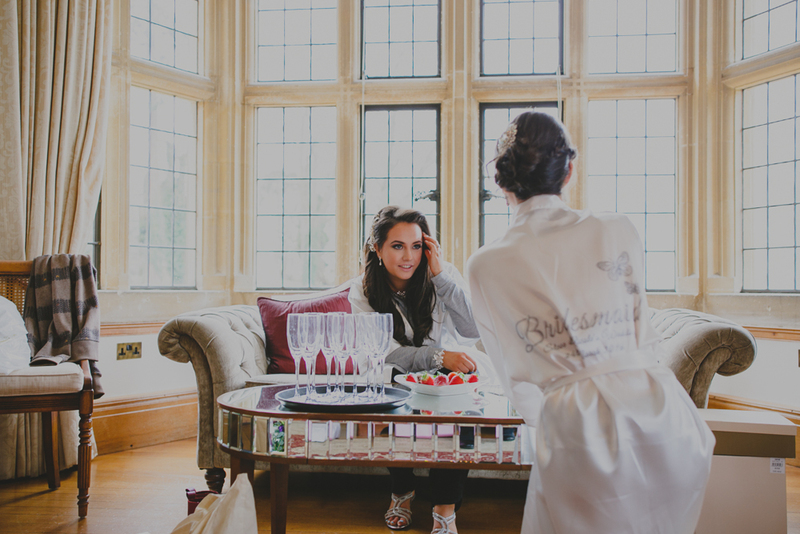 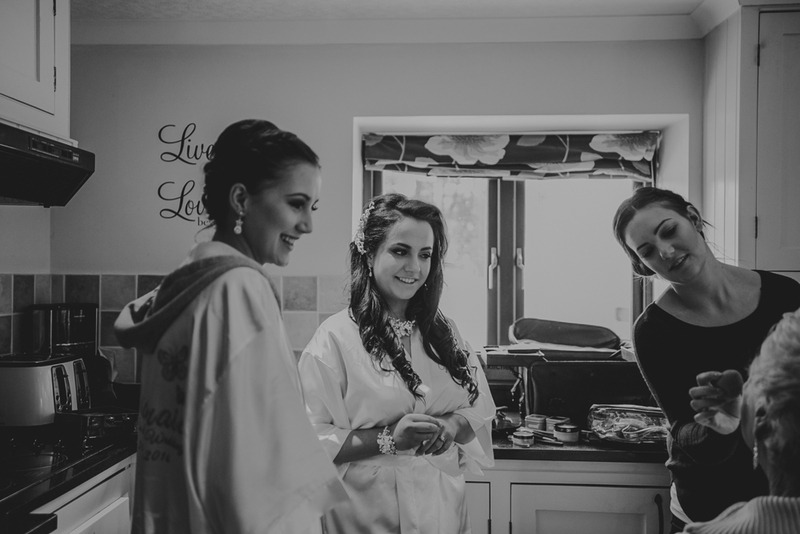 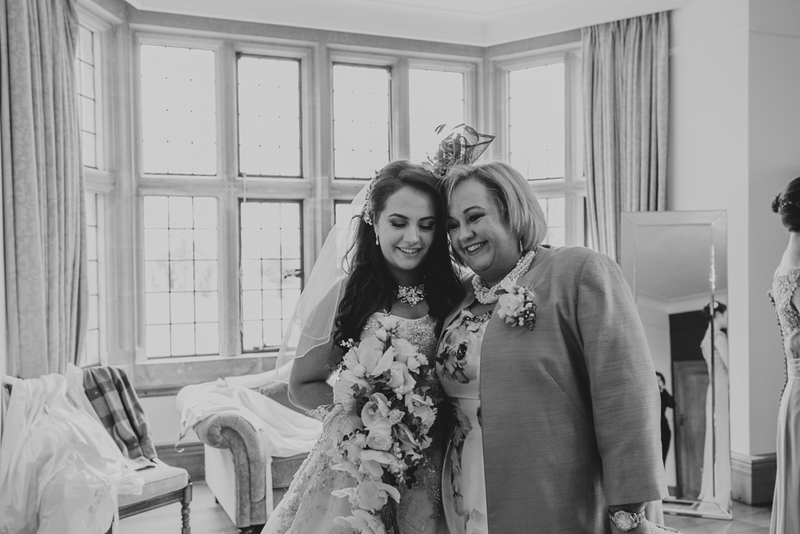 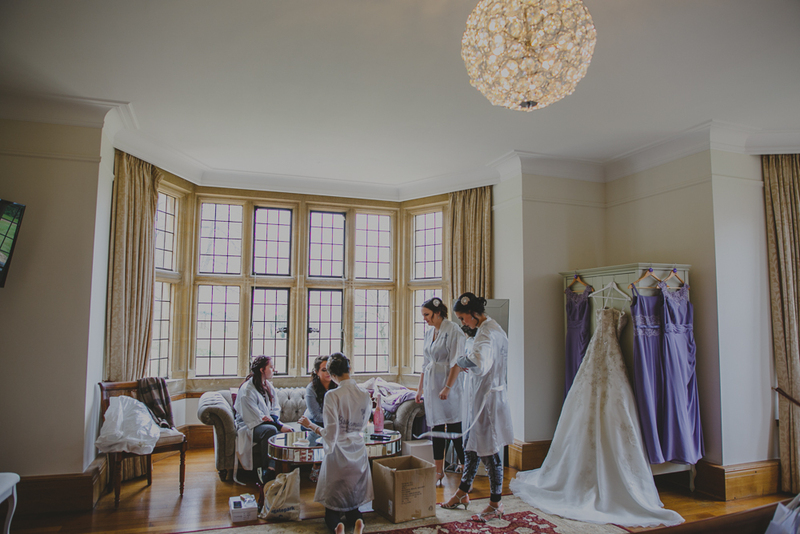 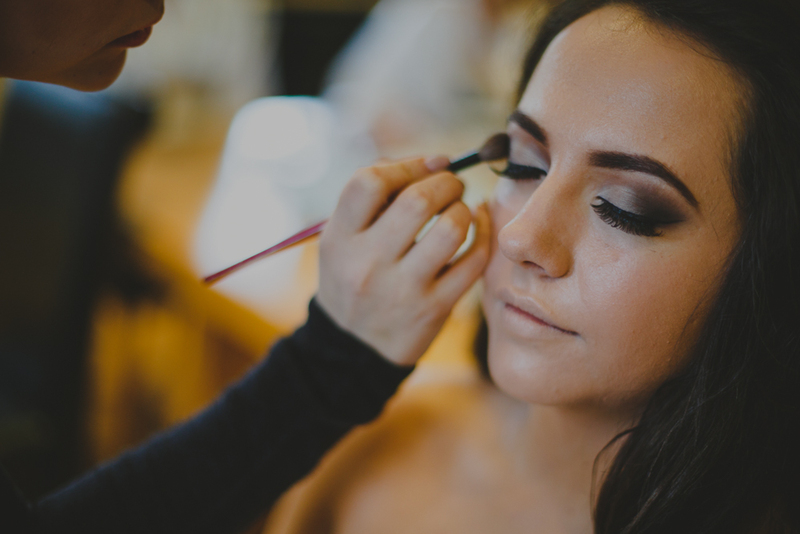 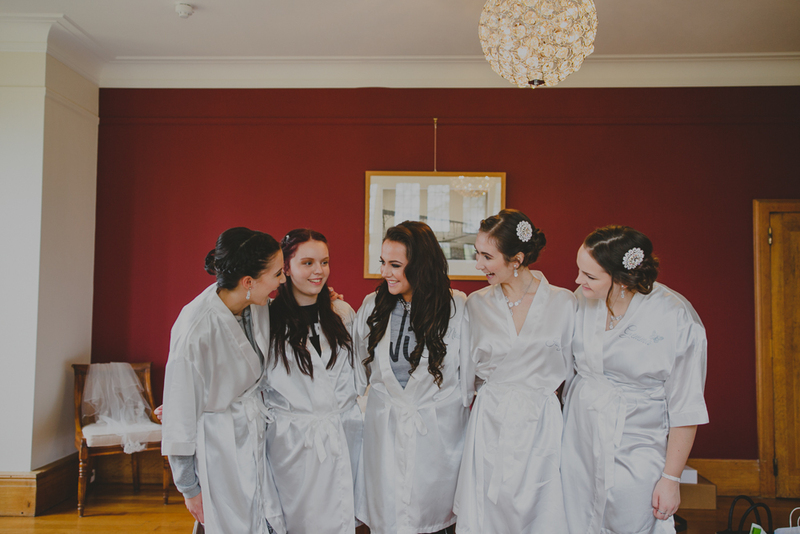 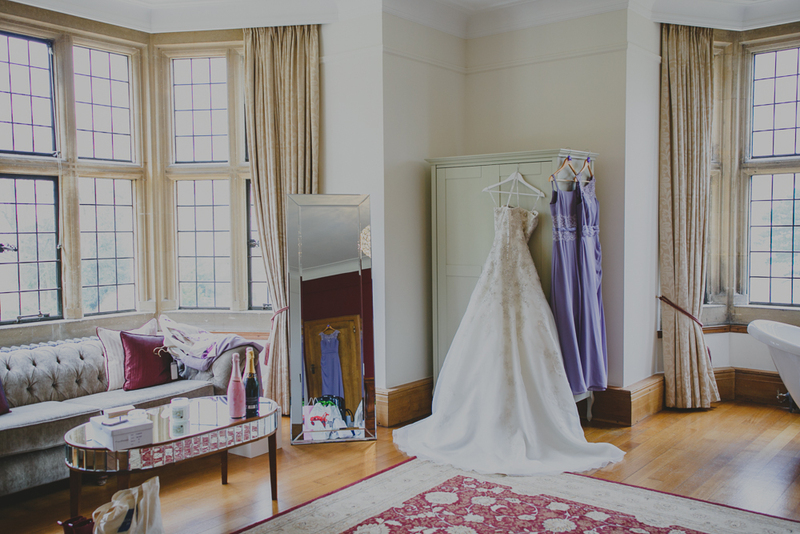 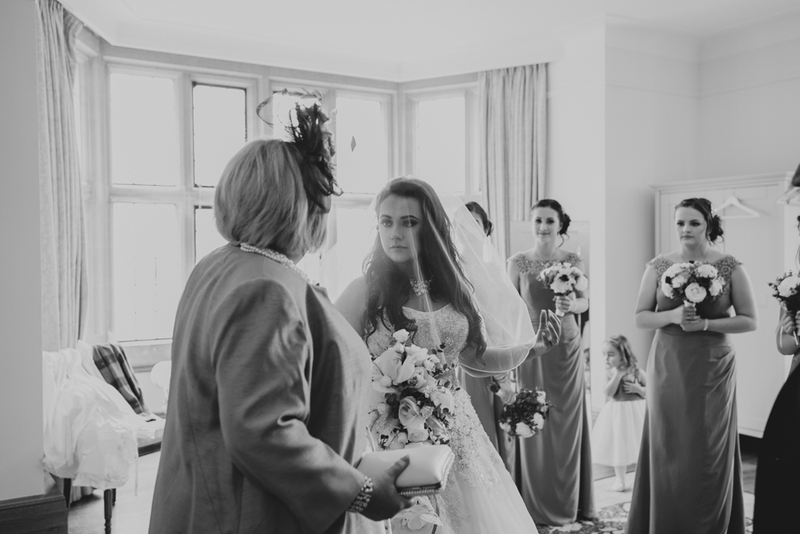 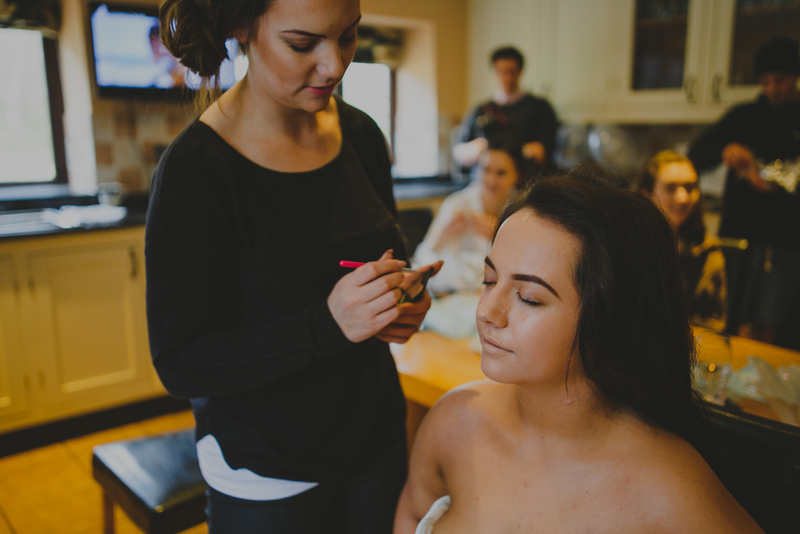 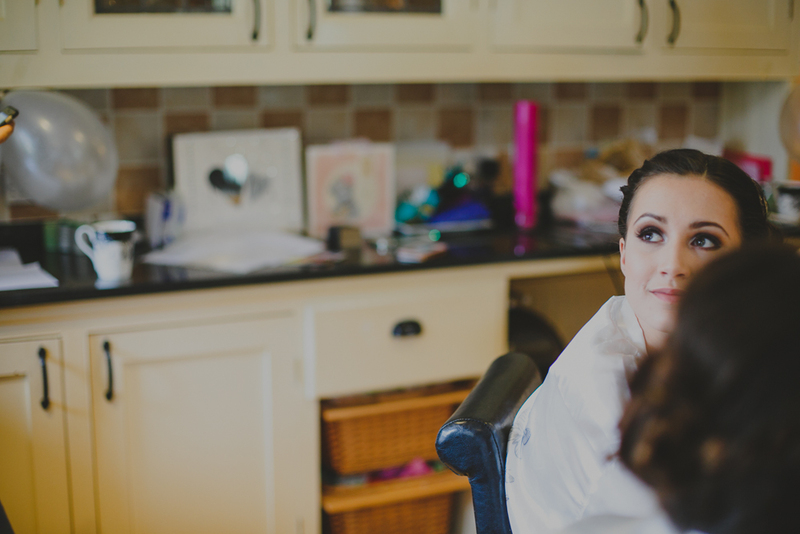 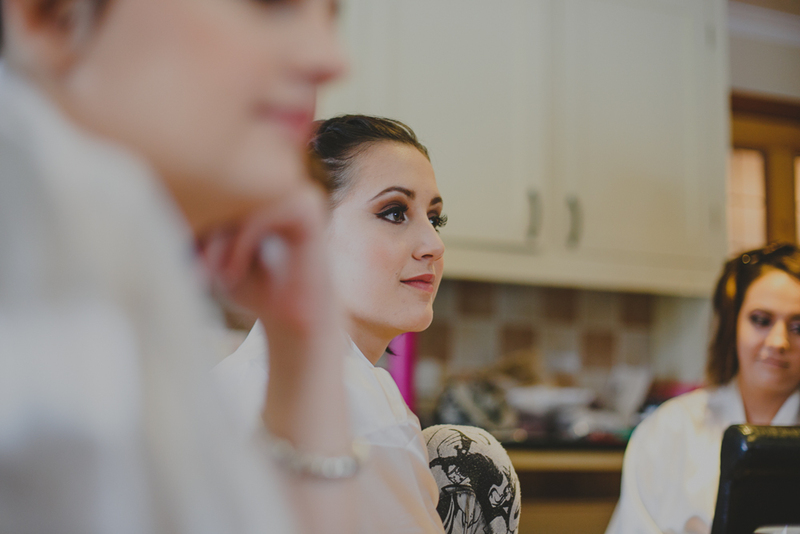 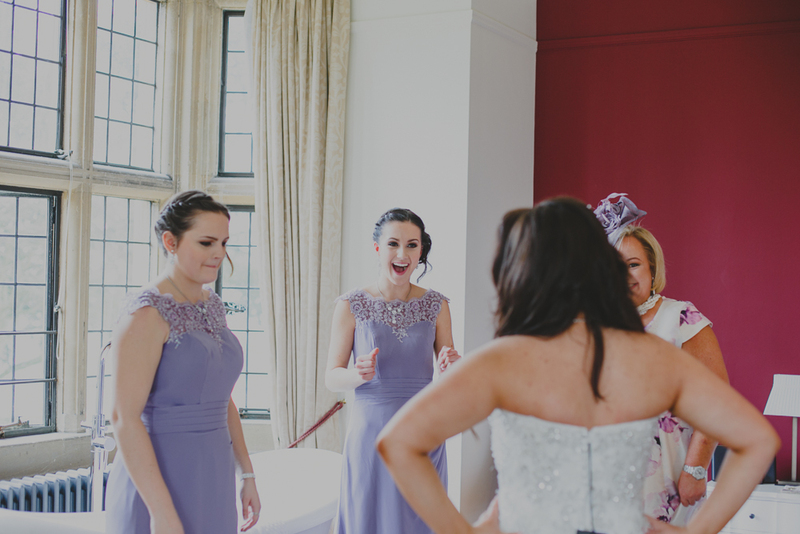 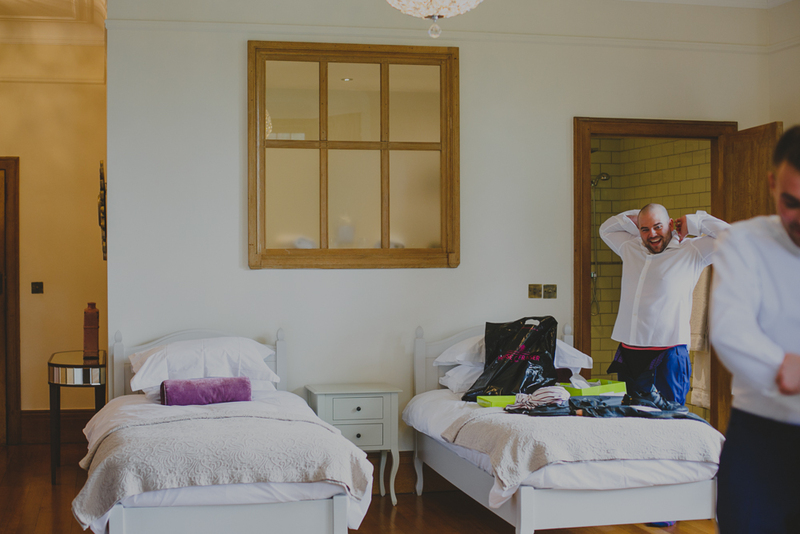 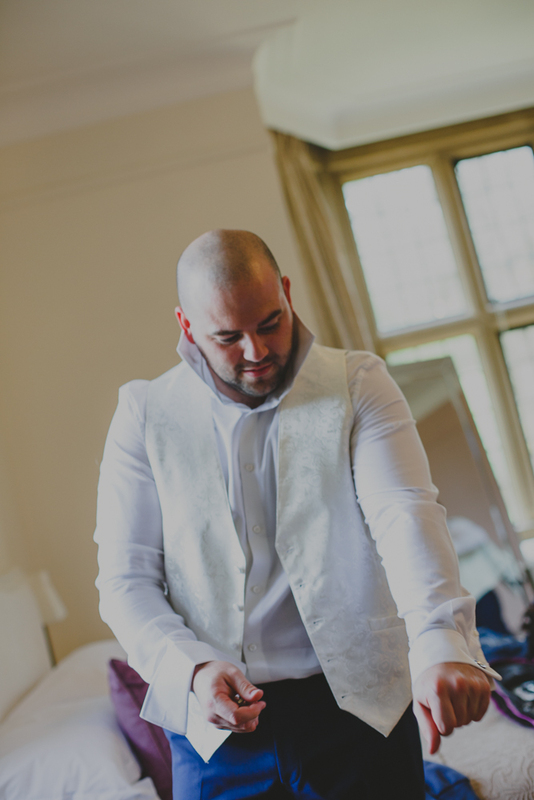 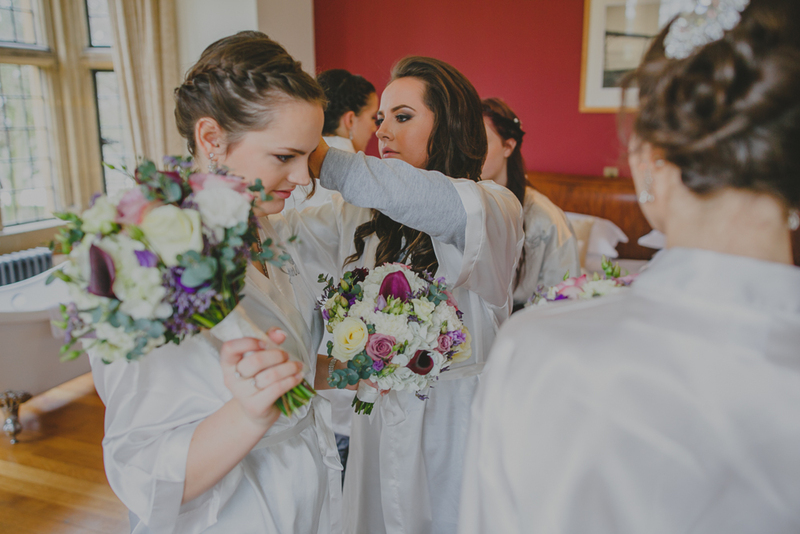 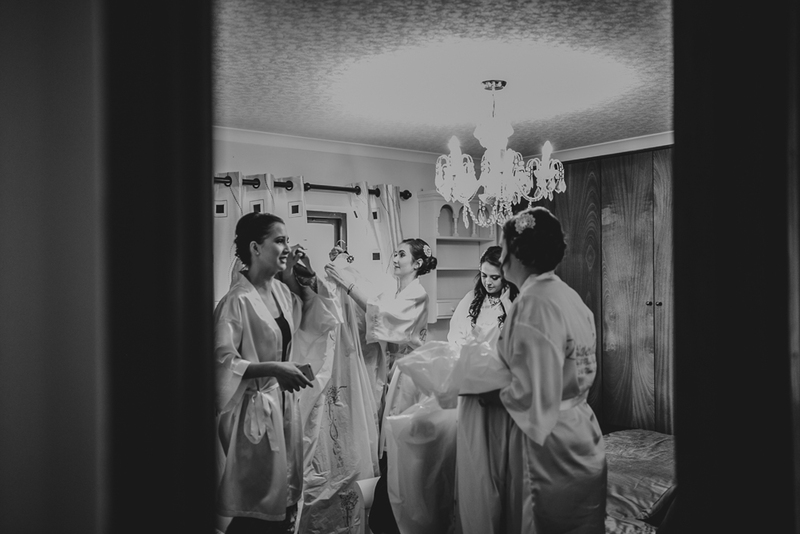 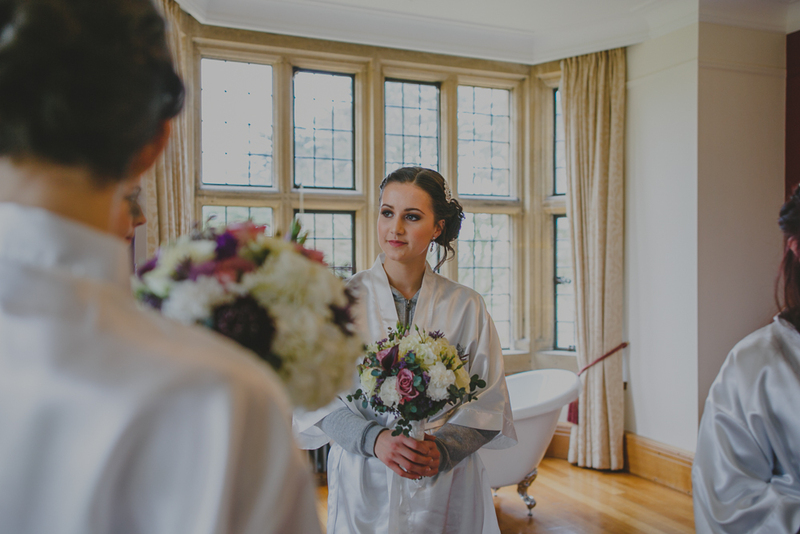 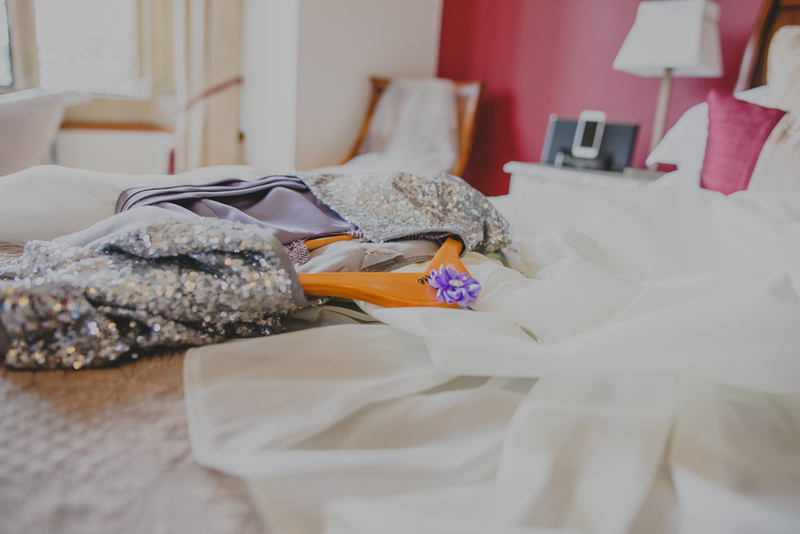 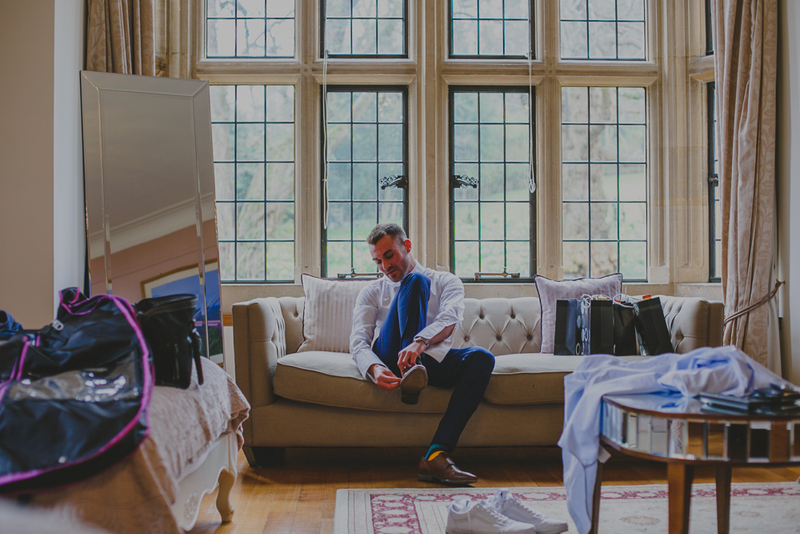 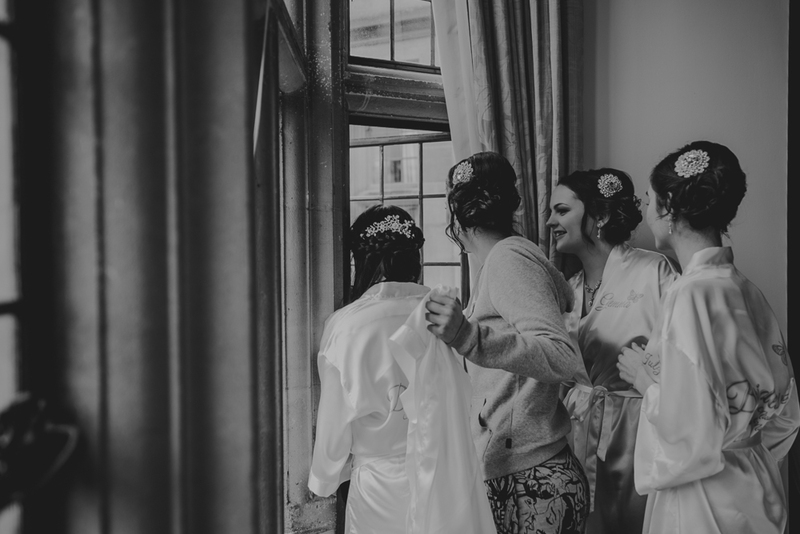 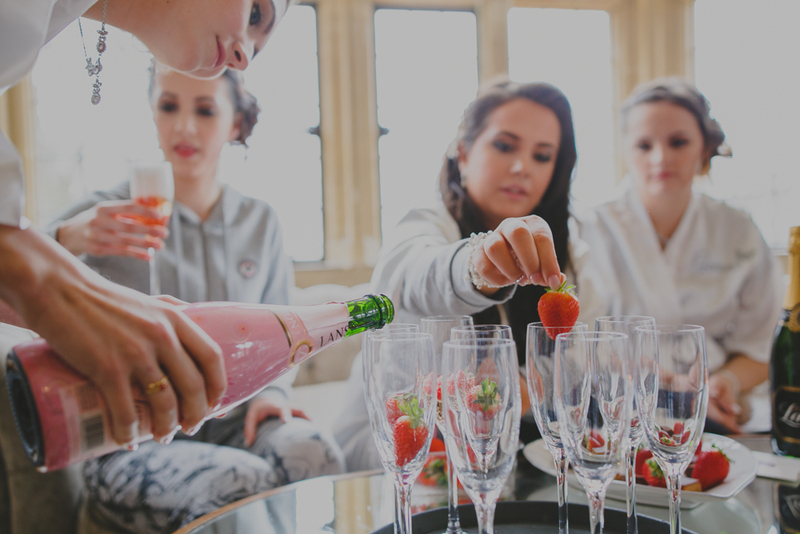 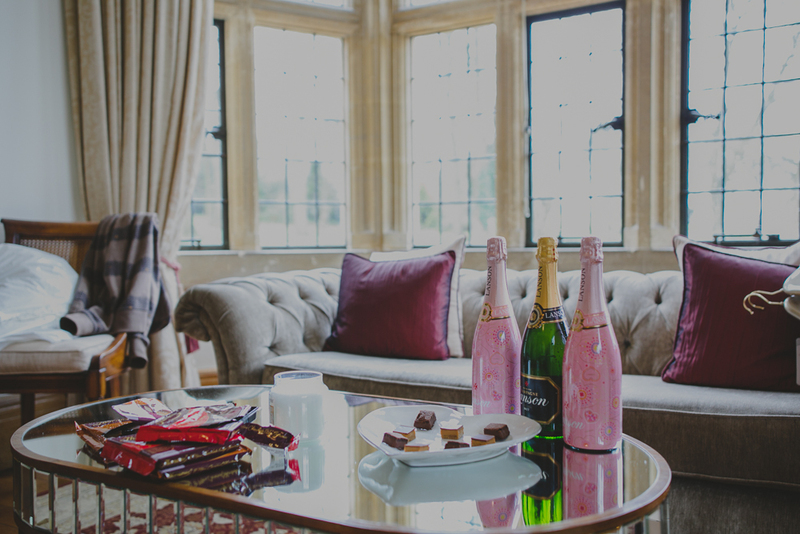 Once we arrived at Coombe Lodge the preparations continued and we had fun in the incredible light-filled bridal suite. 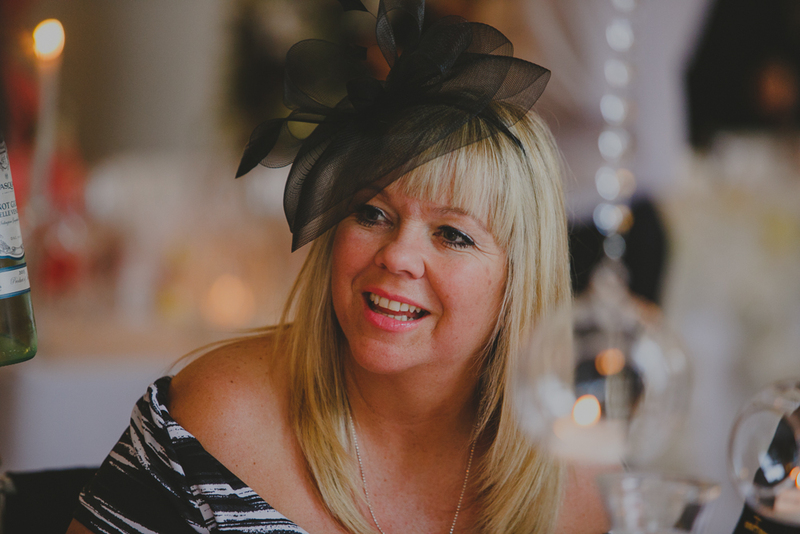 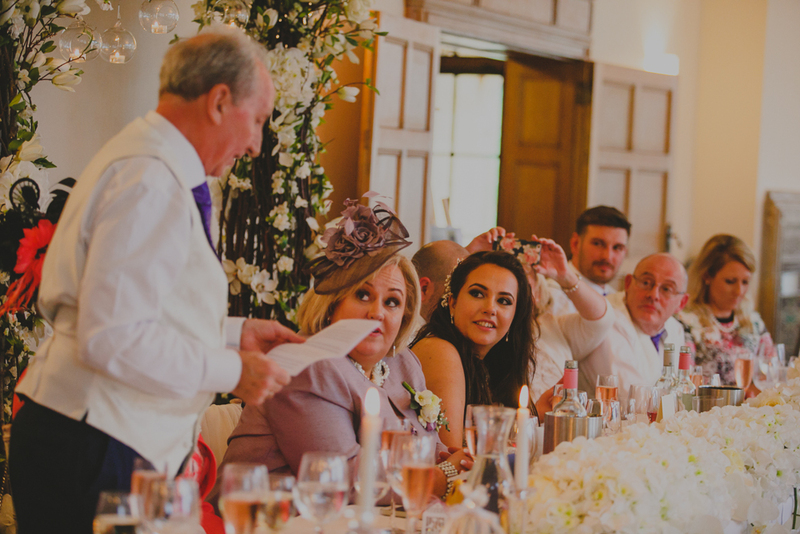 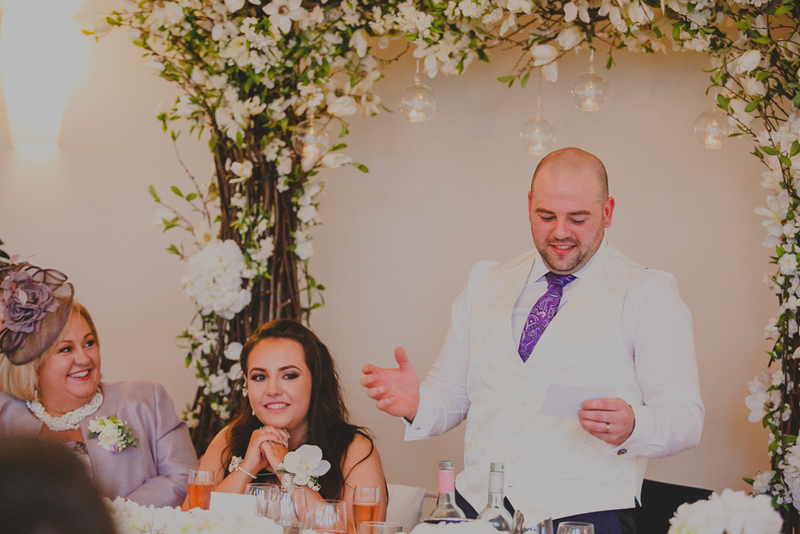 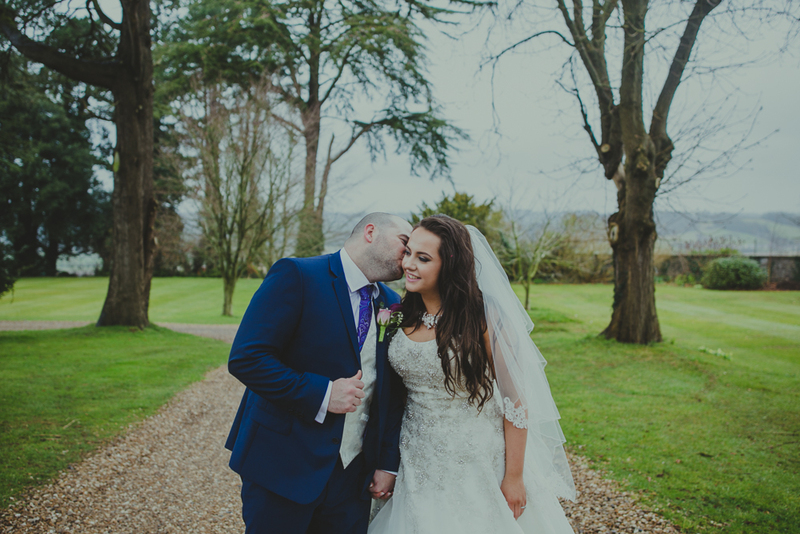 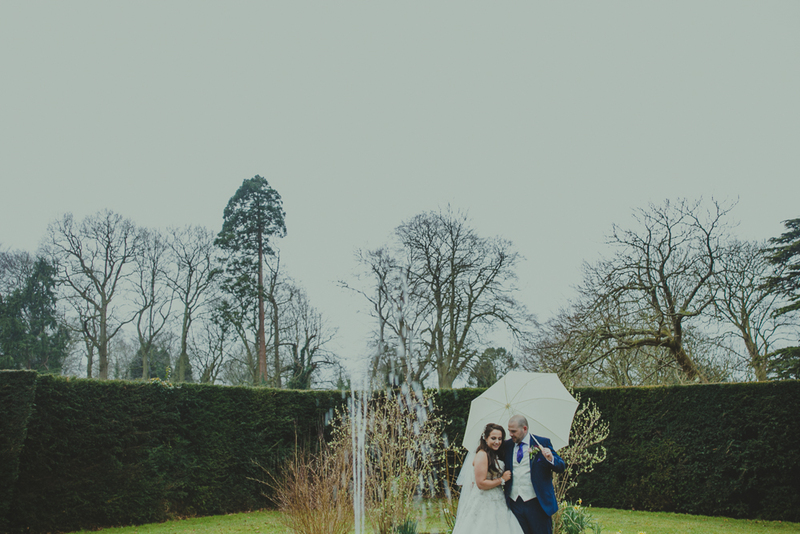 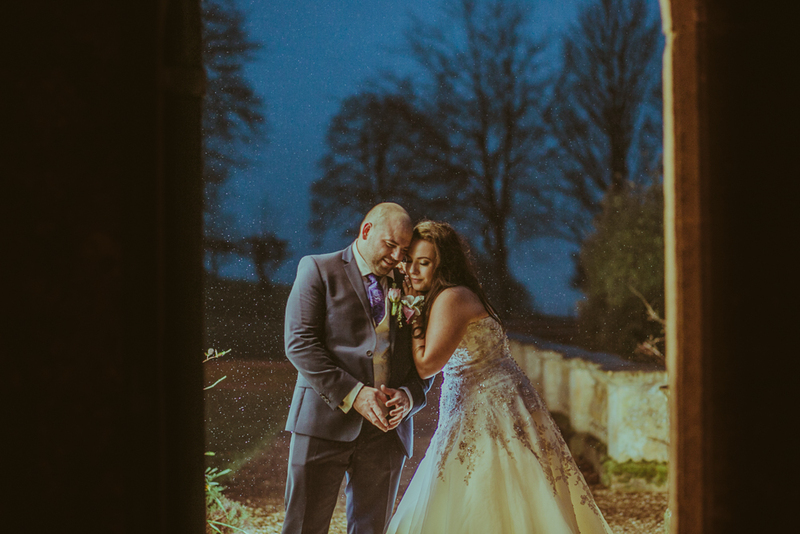 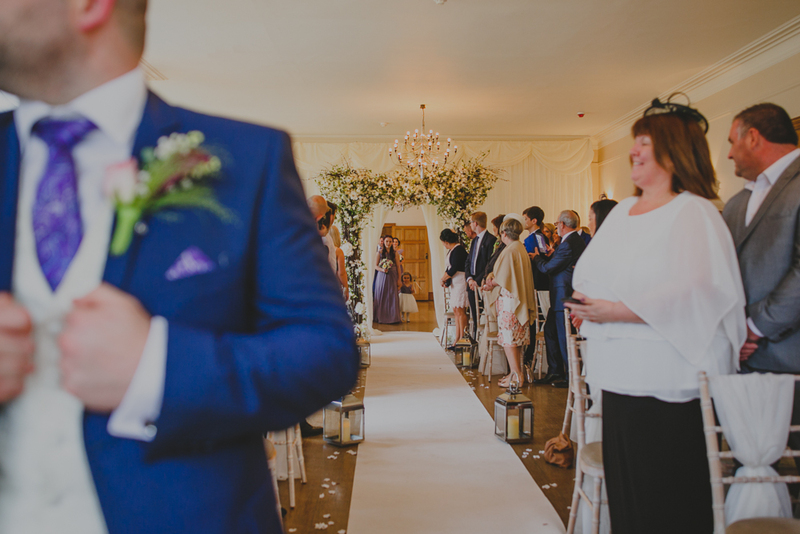 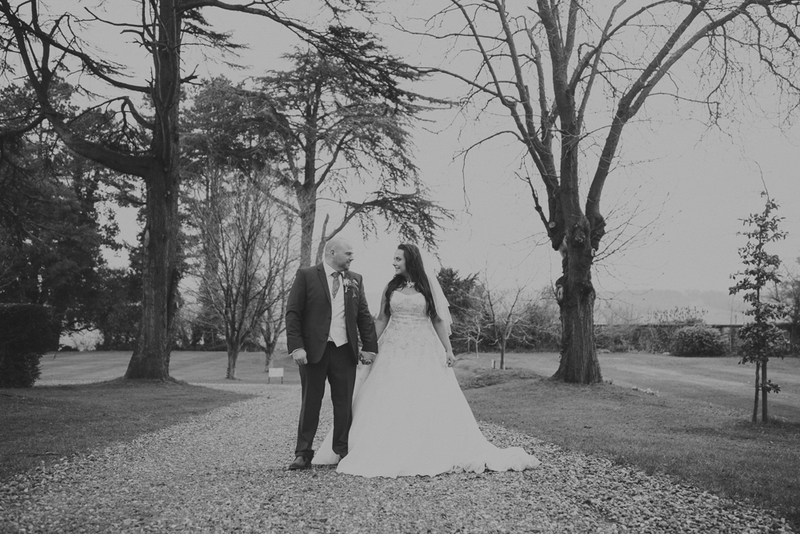 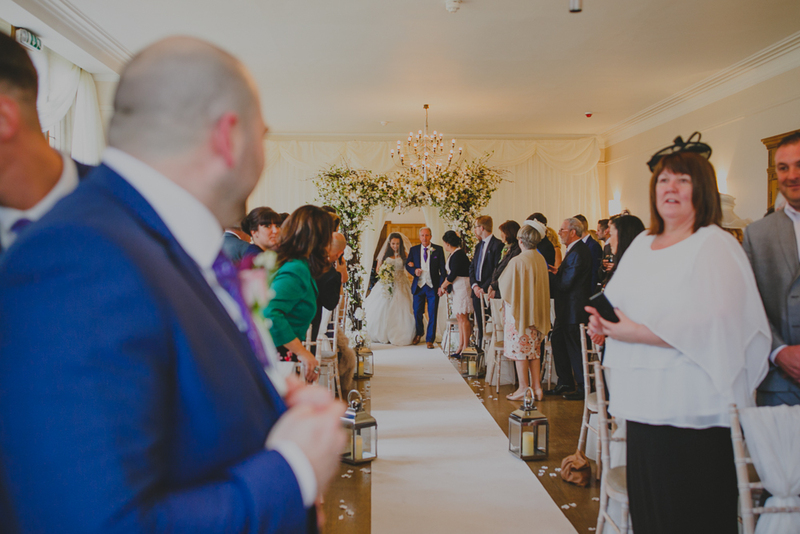 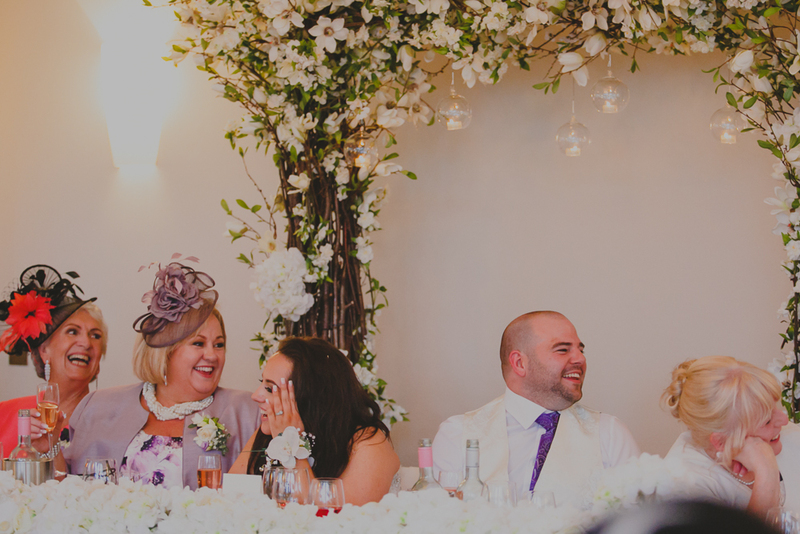 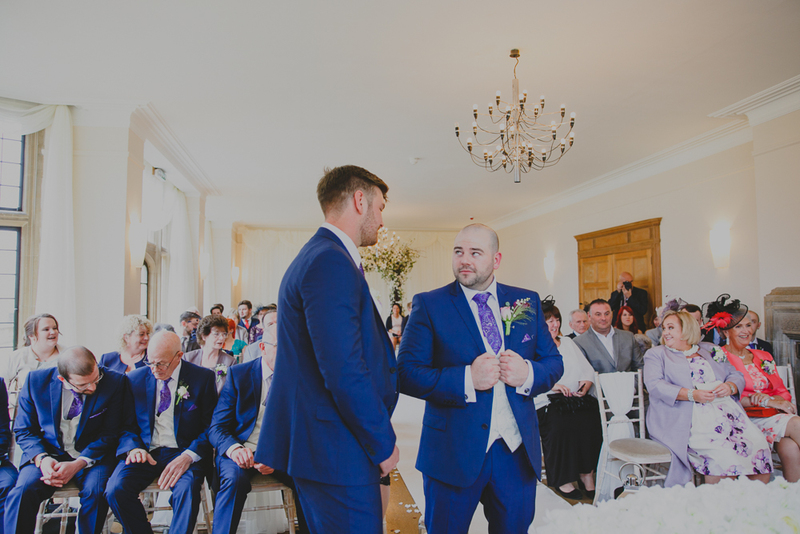 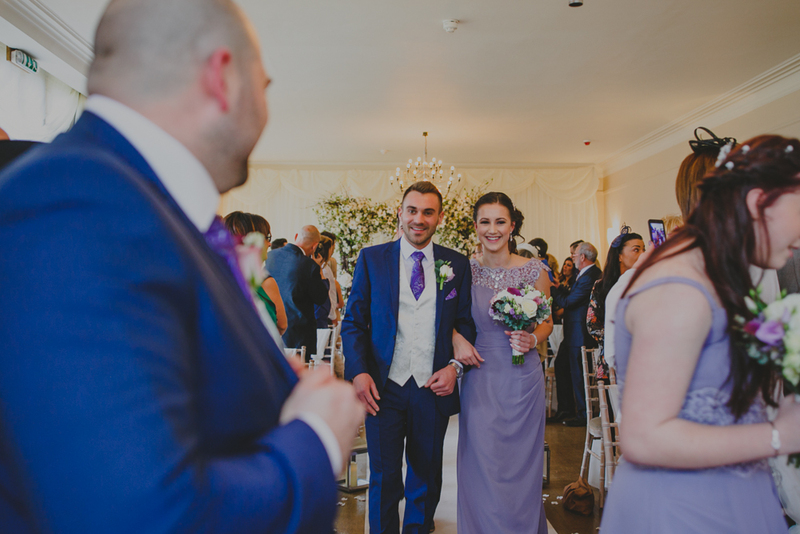 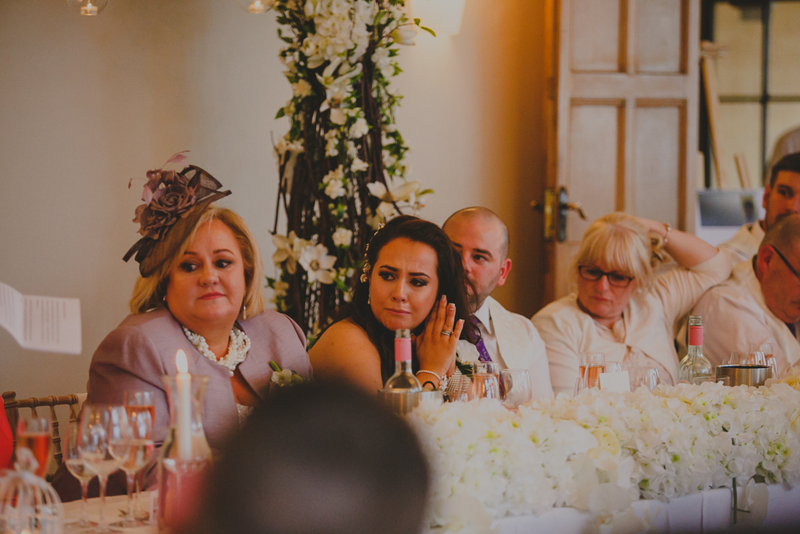 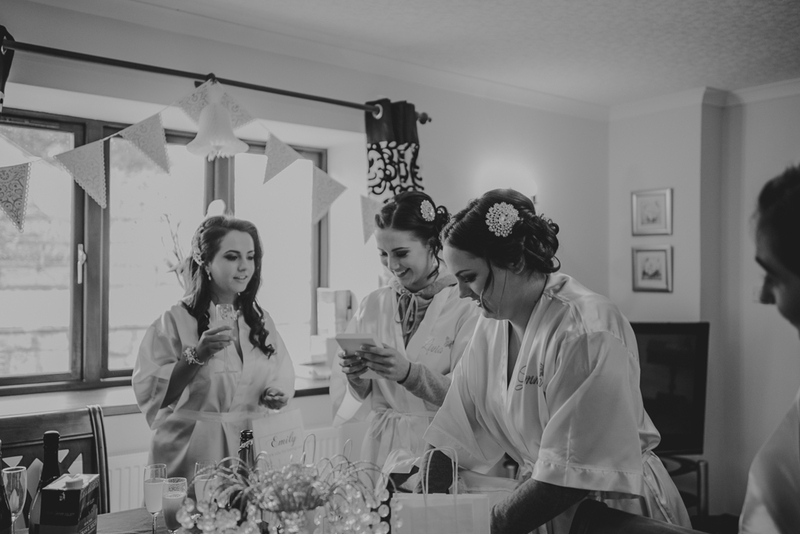 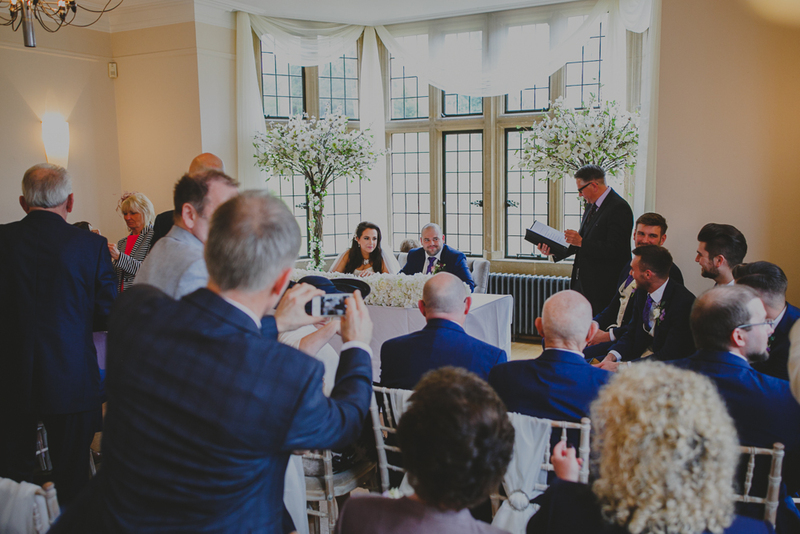 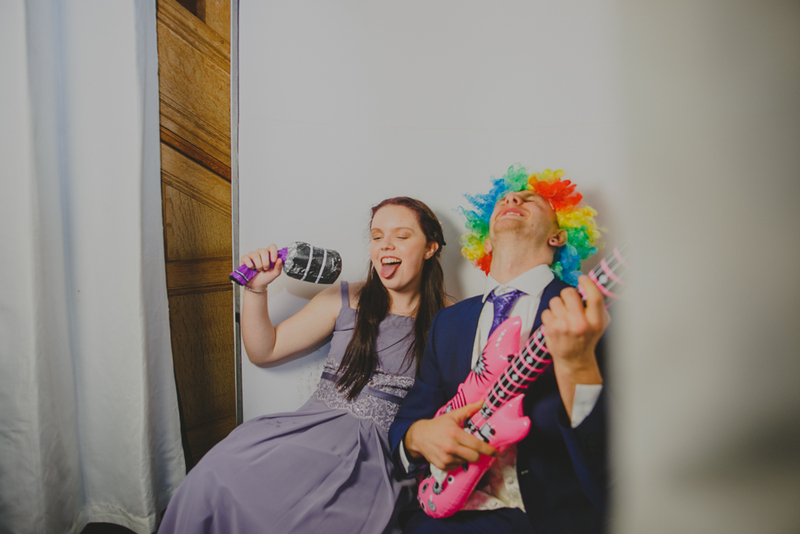 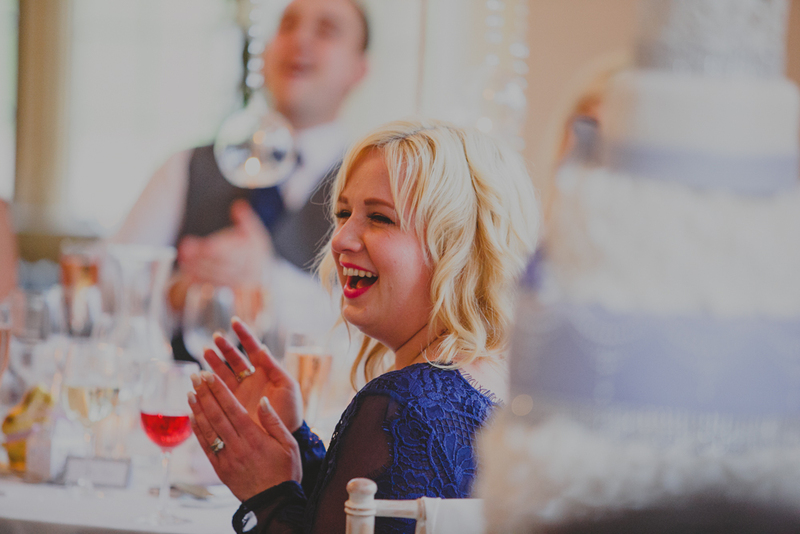 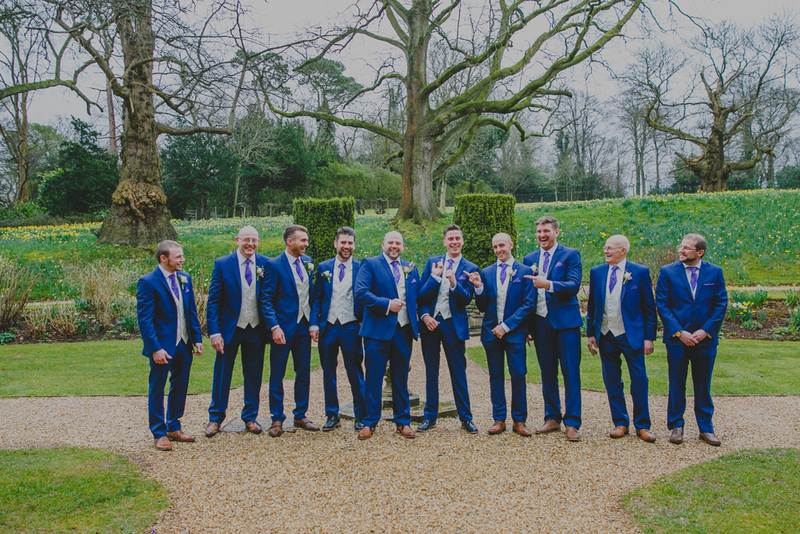 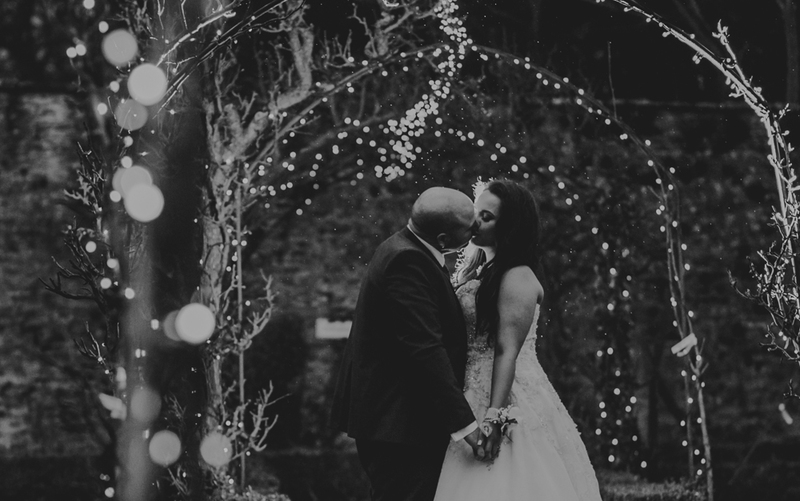 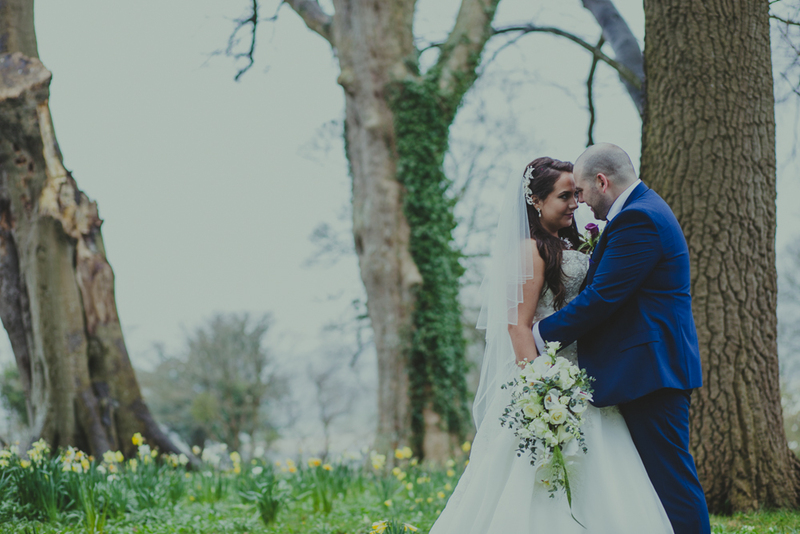 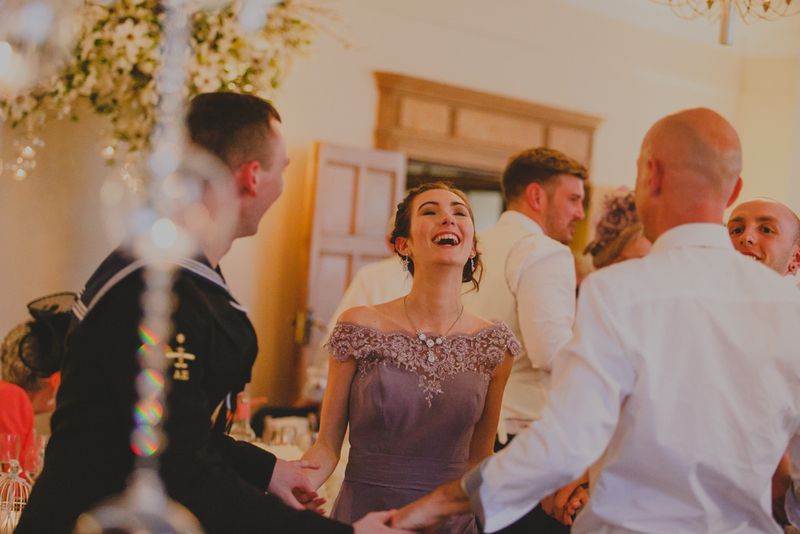 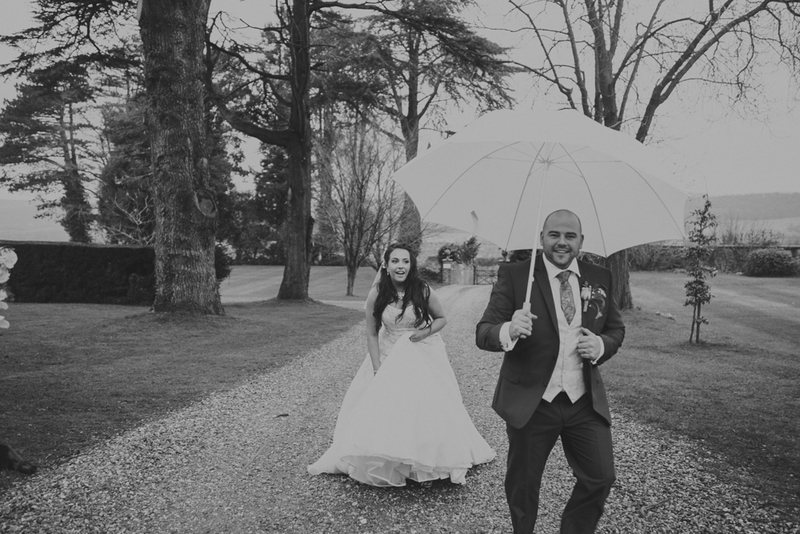 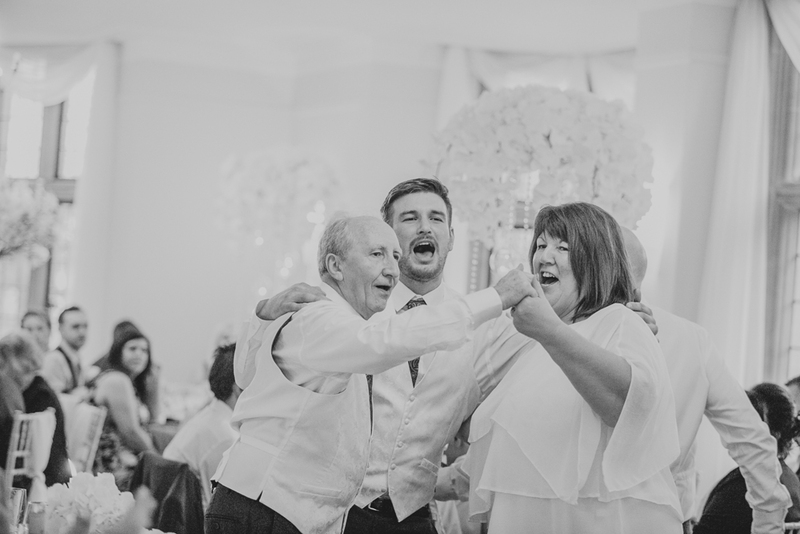 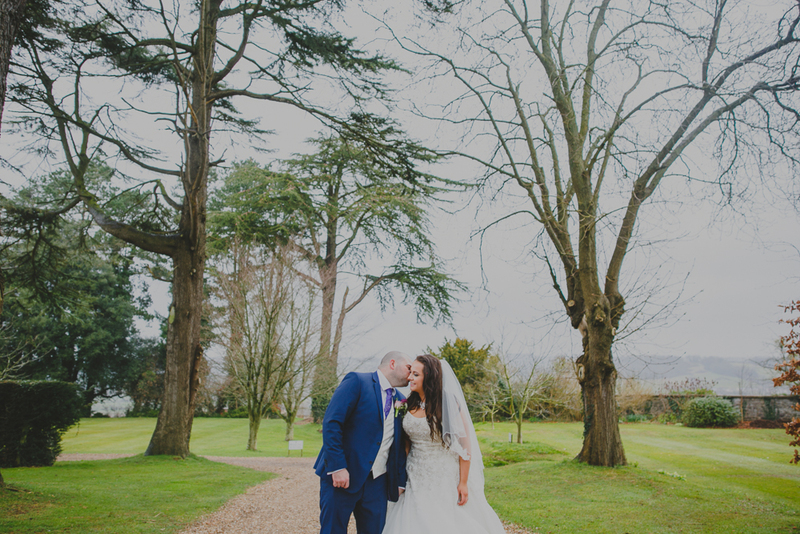 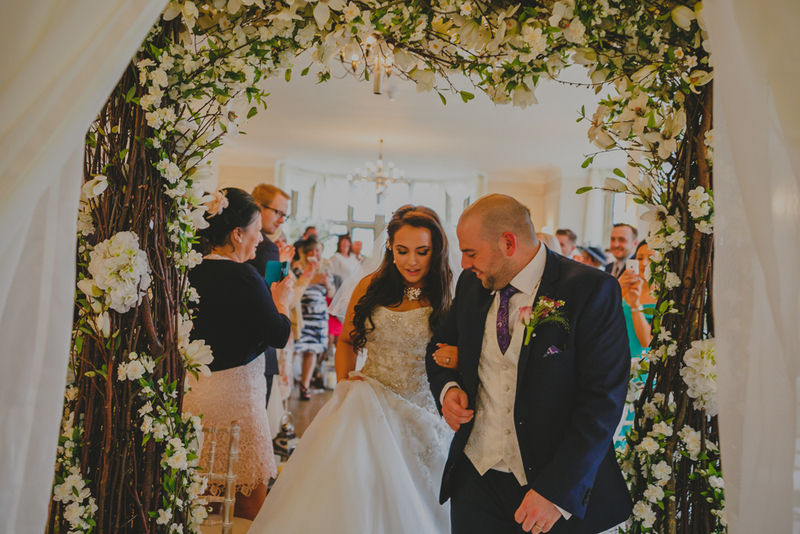 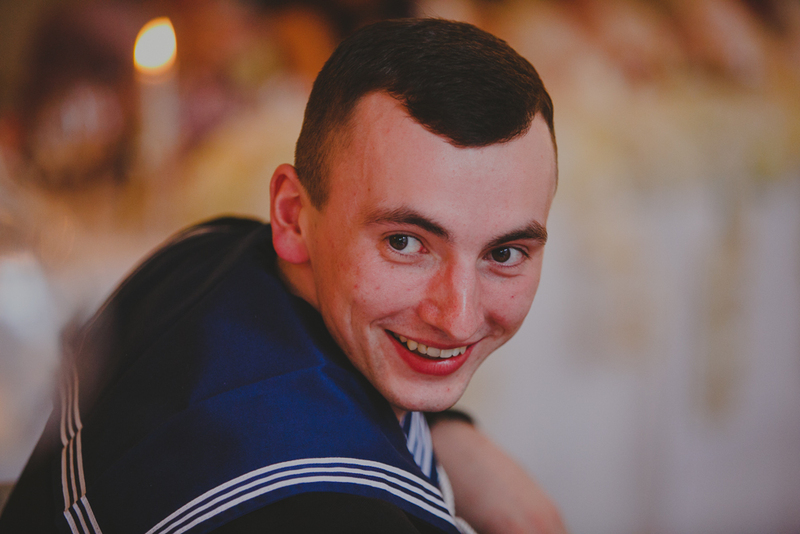 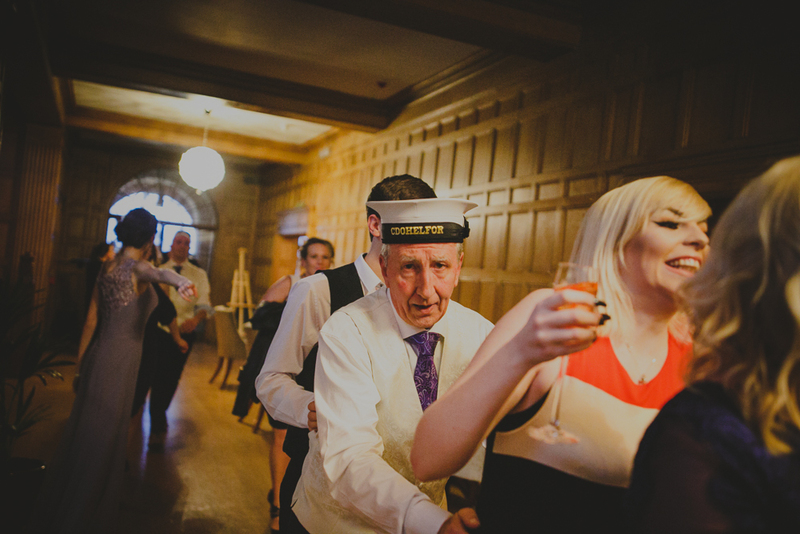 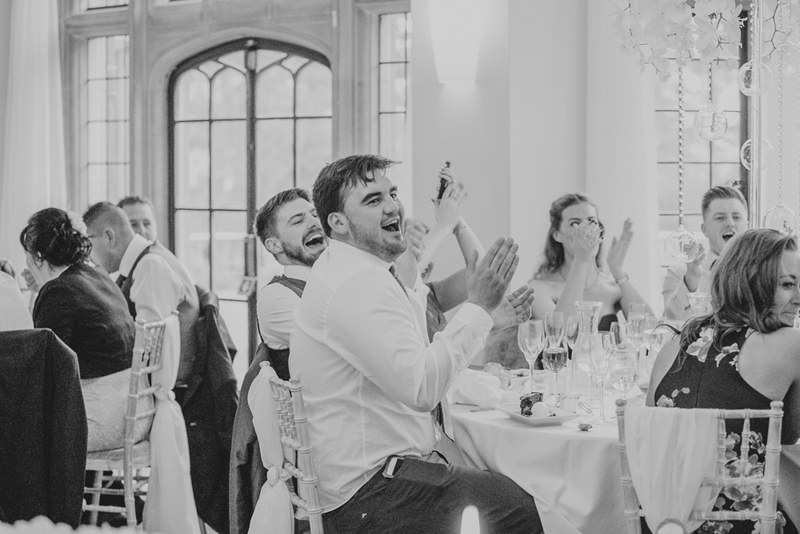 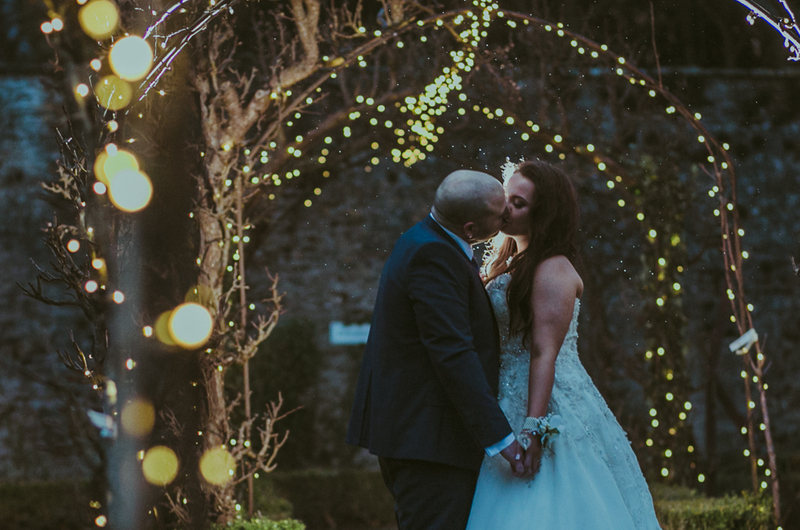 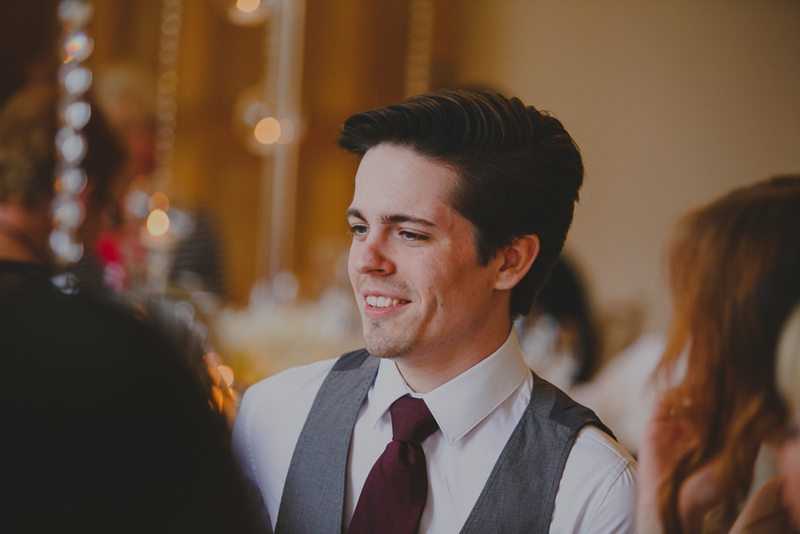 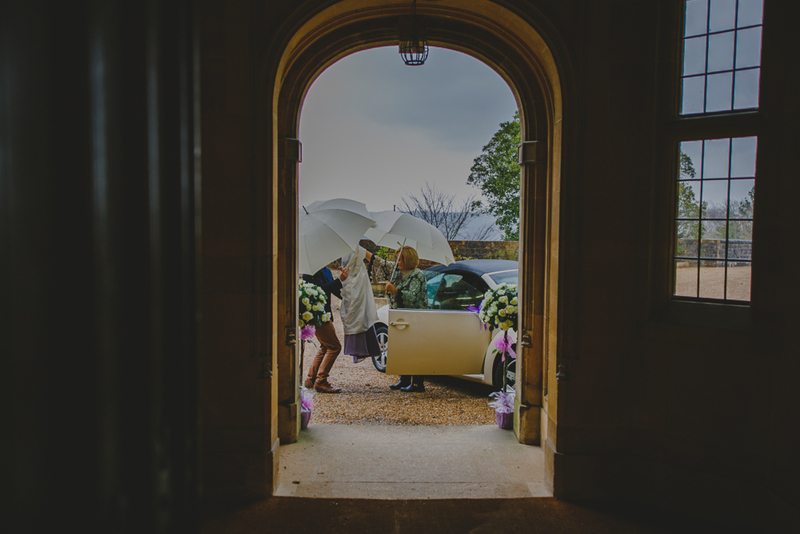 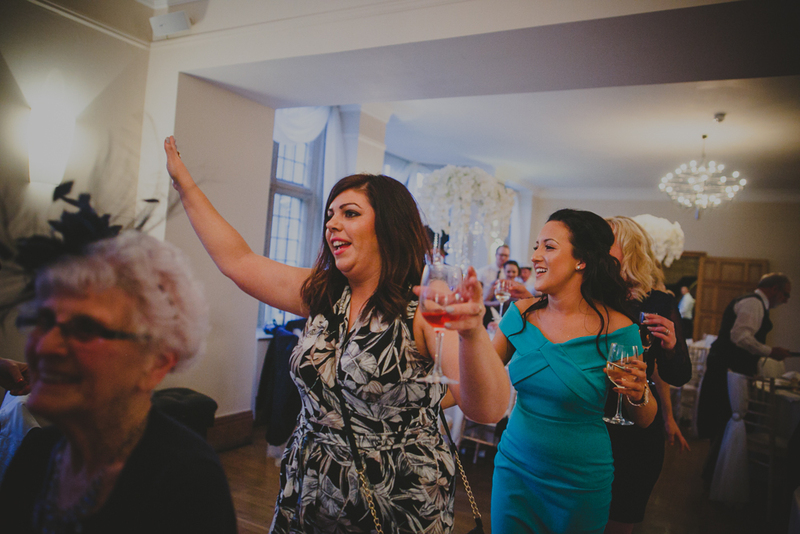 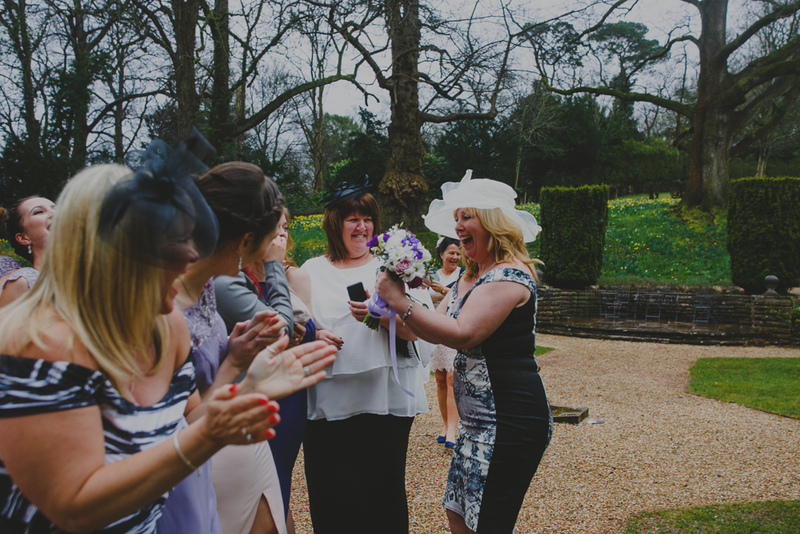 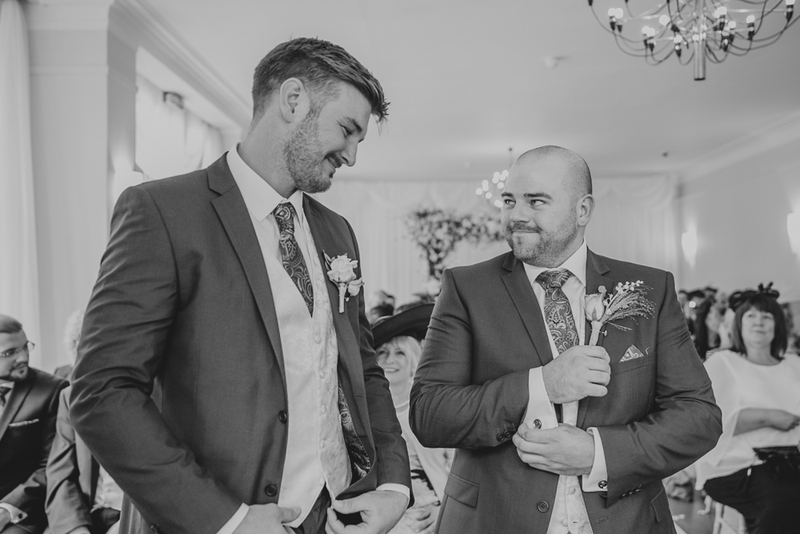 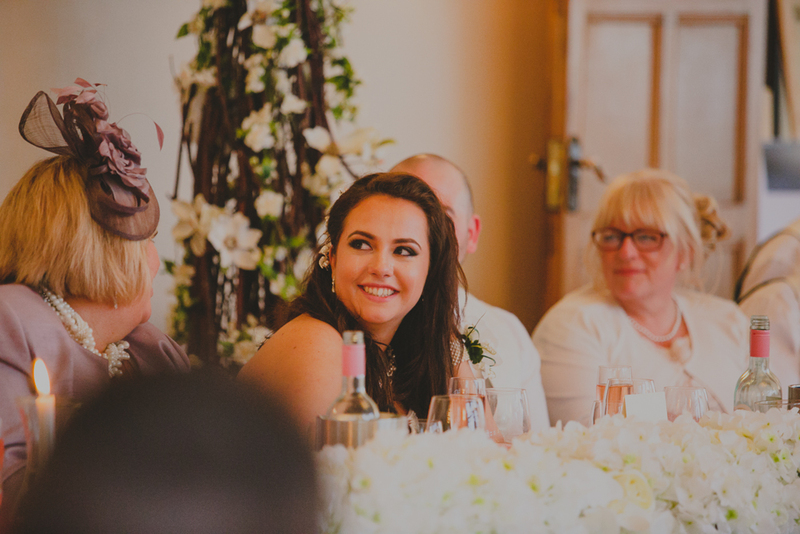 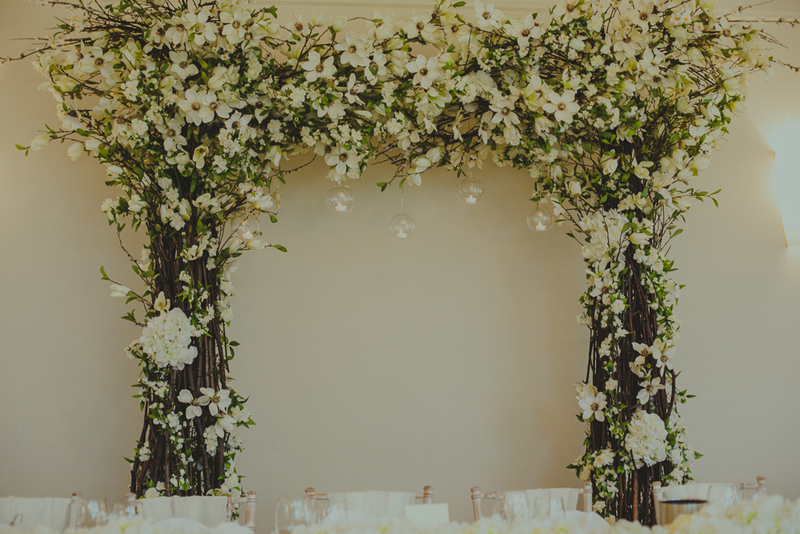 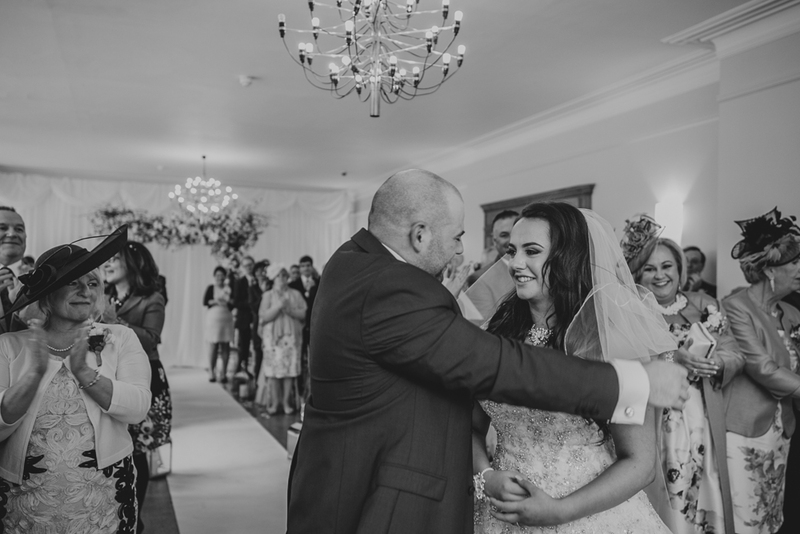 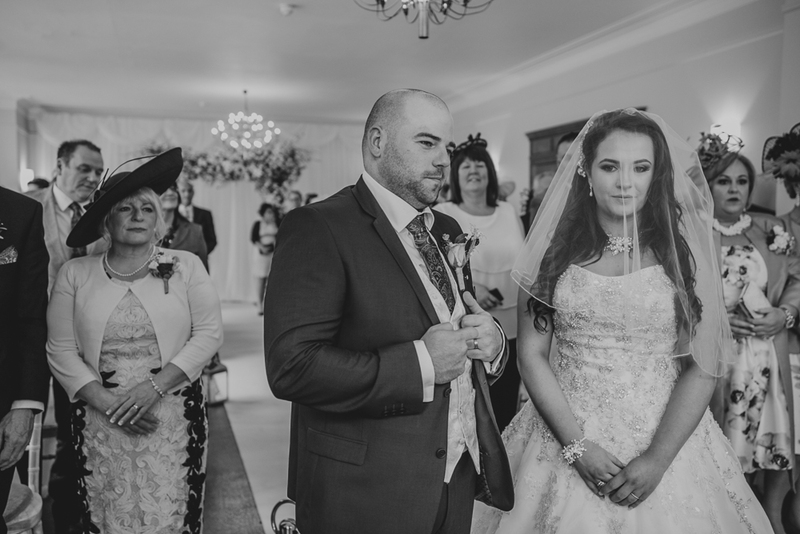 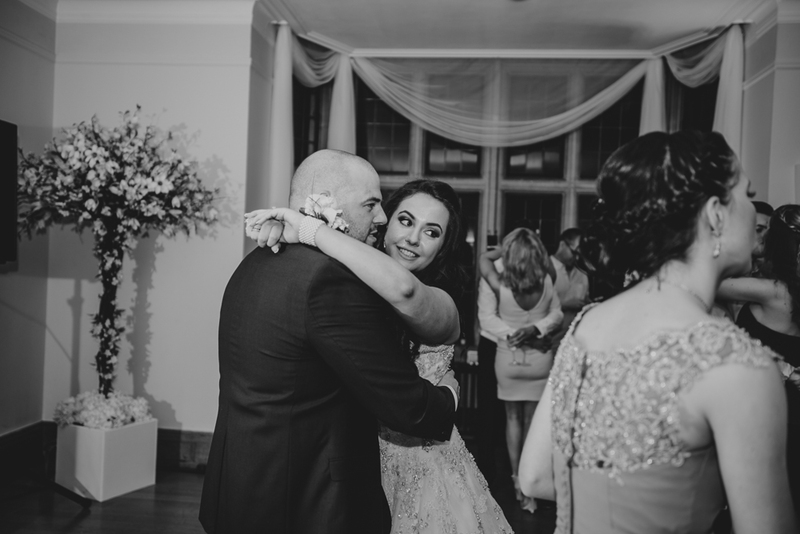 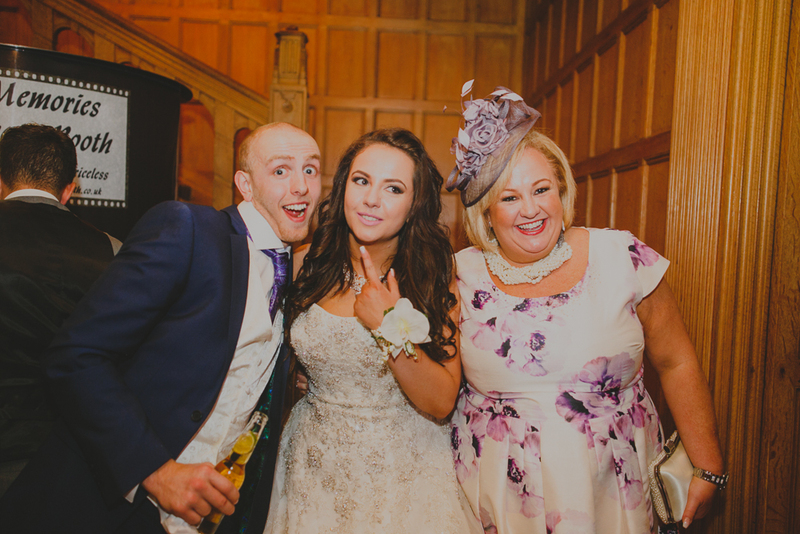 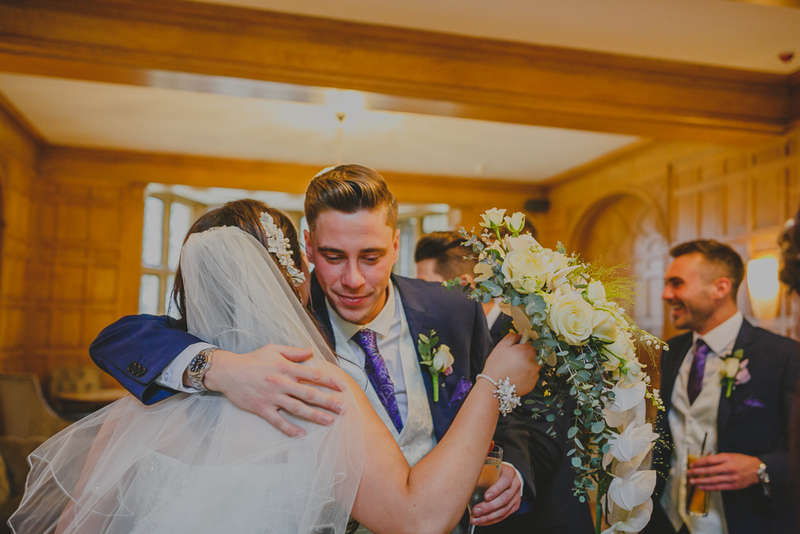 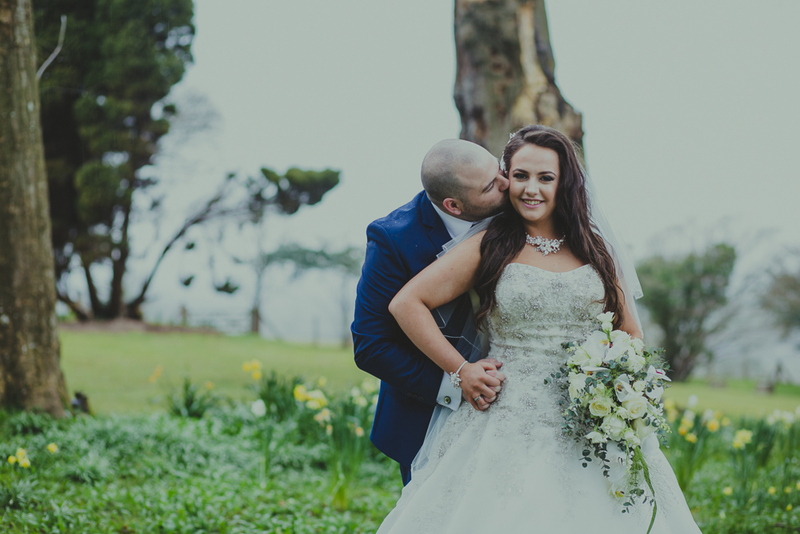 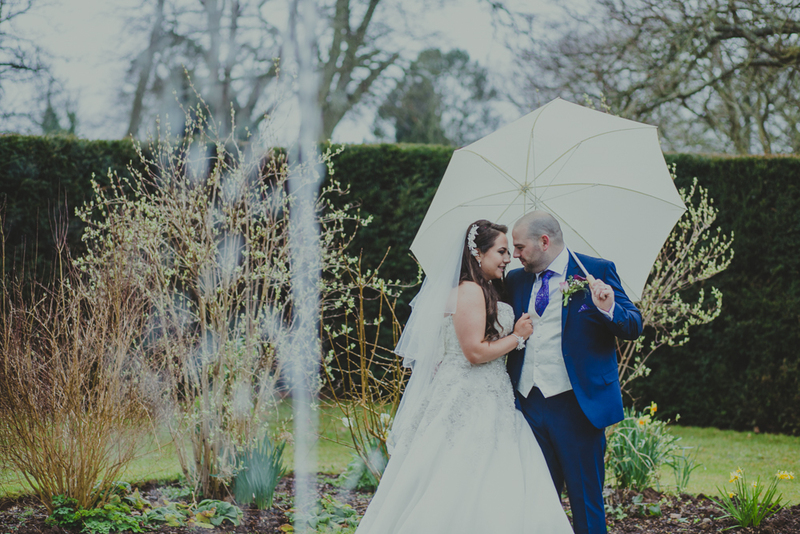 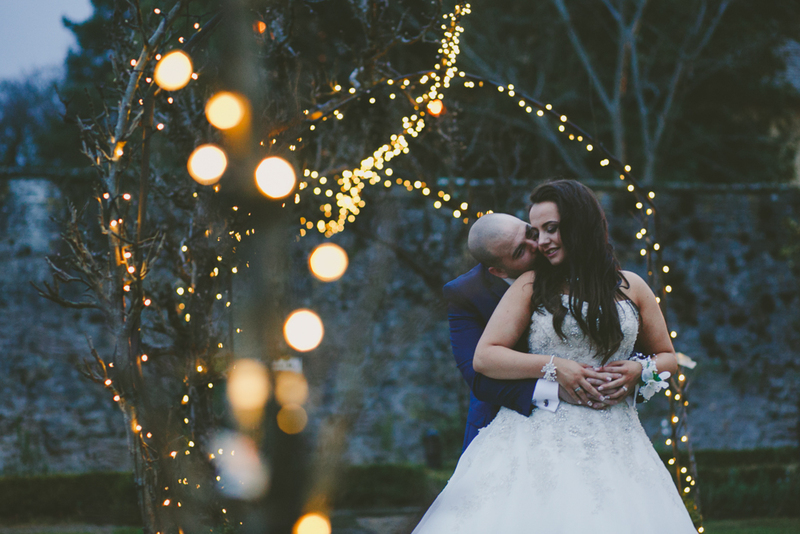 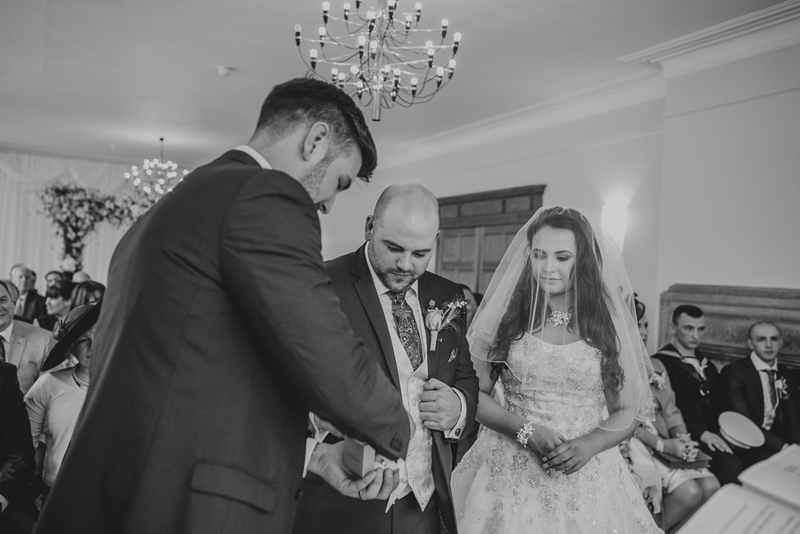 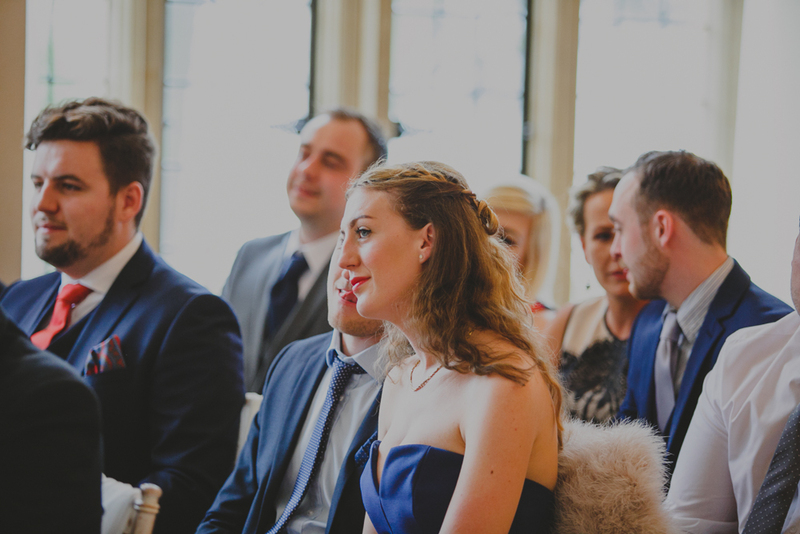 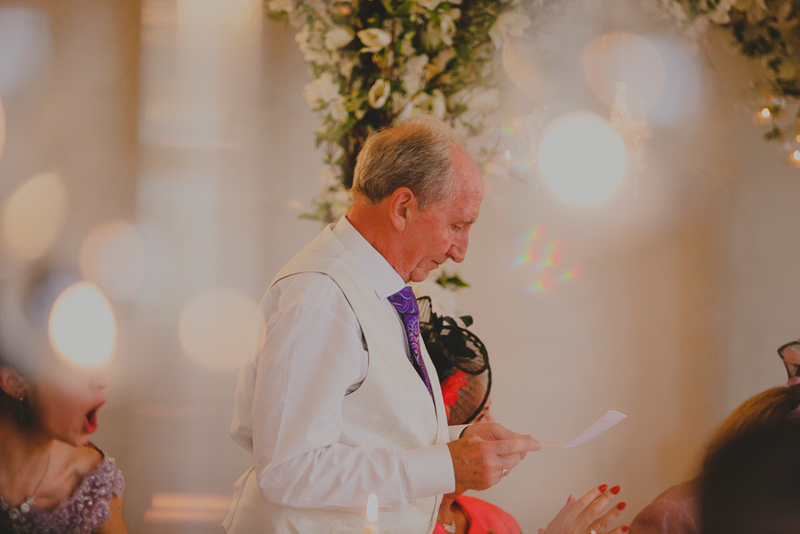 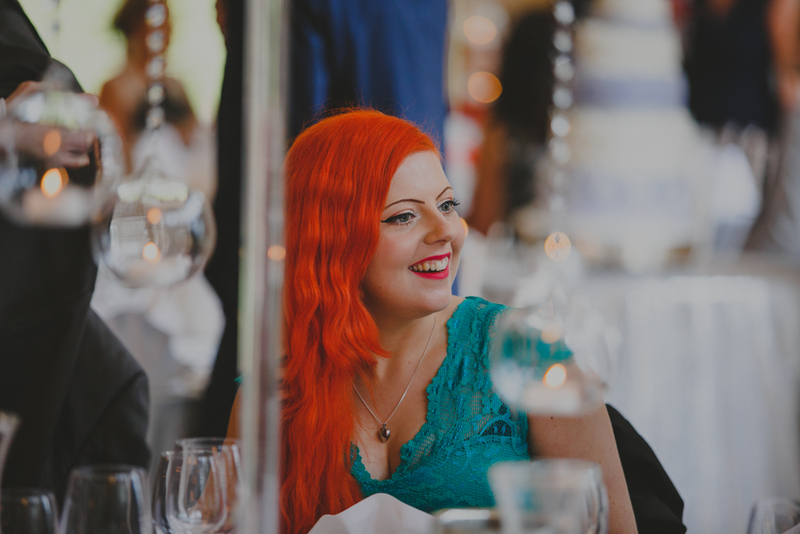 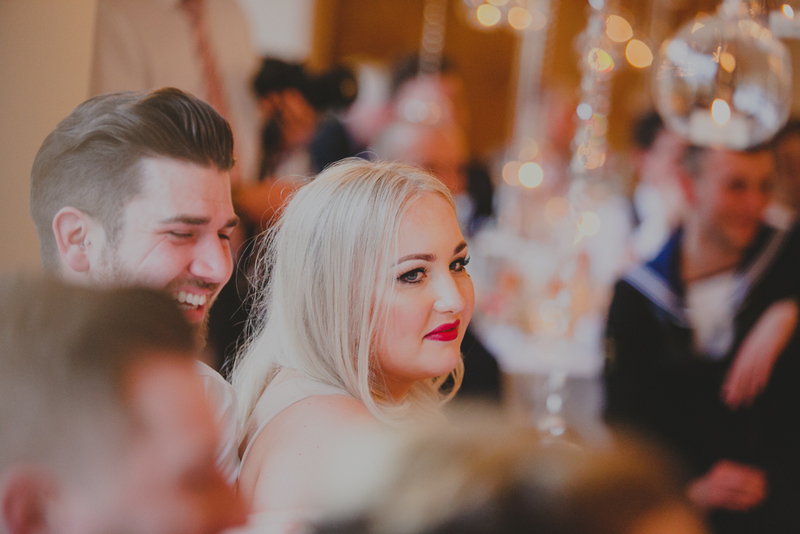 The ceremony was sweet and emotional and afterwards guests enjoyed drinks inside the light-oak panelled rooms whilst we snuck off for a walk in beautiful grounds, it was drizzling a bit, but it didn’t stop the gorgeous Spring atmosphere. 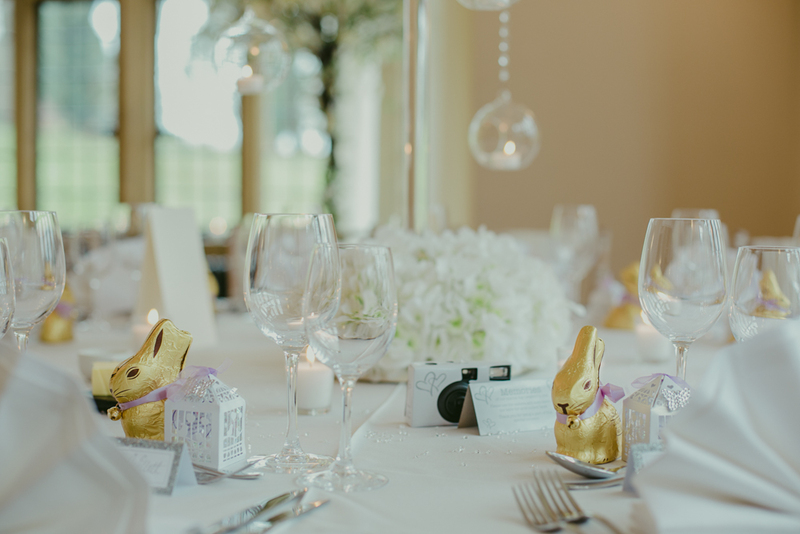 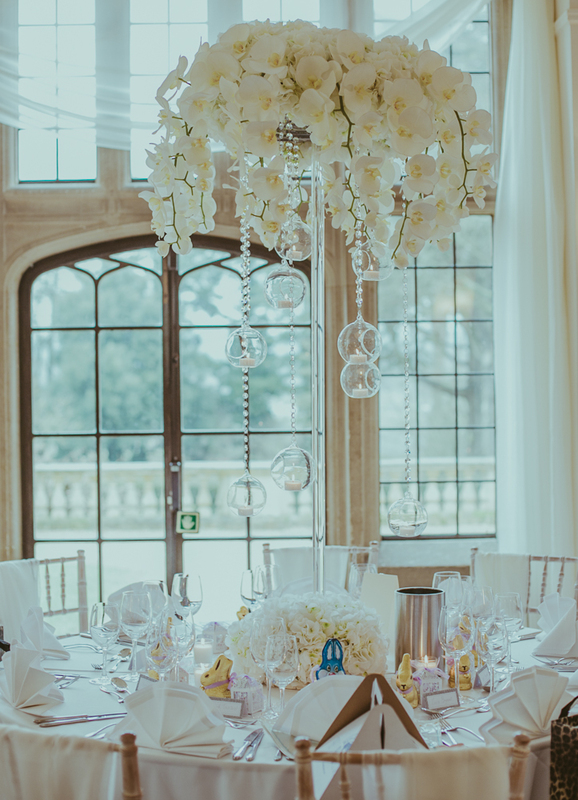 The meal was held in the room which was decorated beautifully with both flowers and centre pieces and little touches of Easter throughout in the gold lindt bunnies. 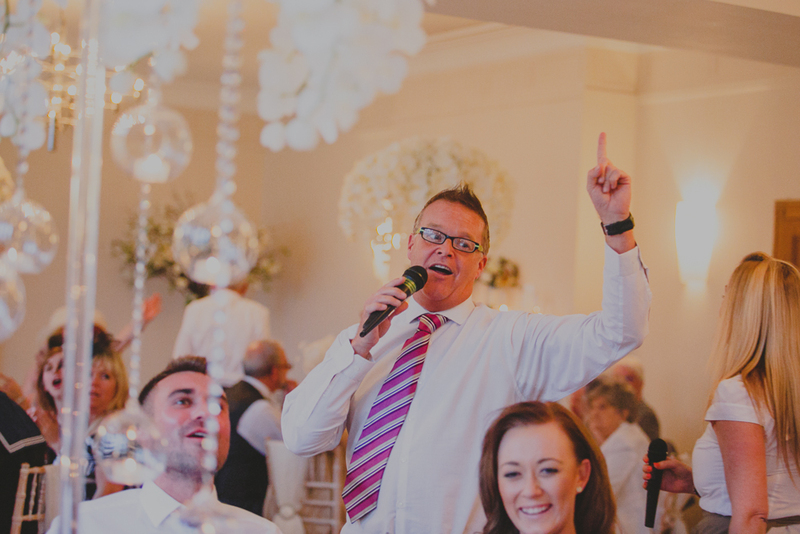 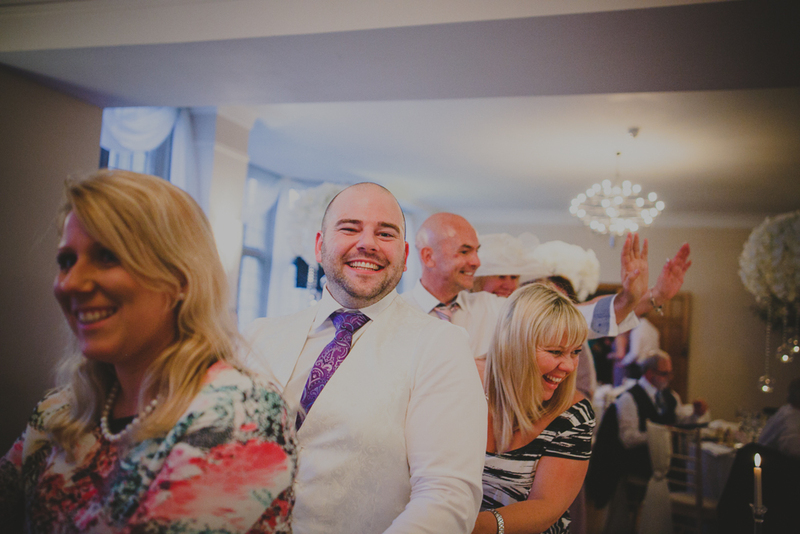 After some hilarious speeches the guests were surprised by singing waiters swiftly followed by an impromptu conga around the lodge! 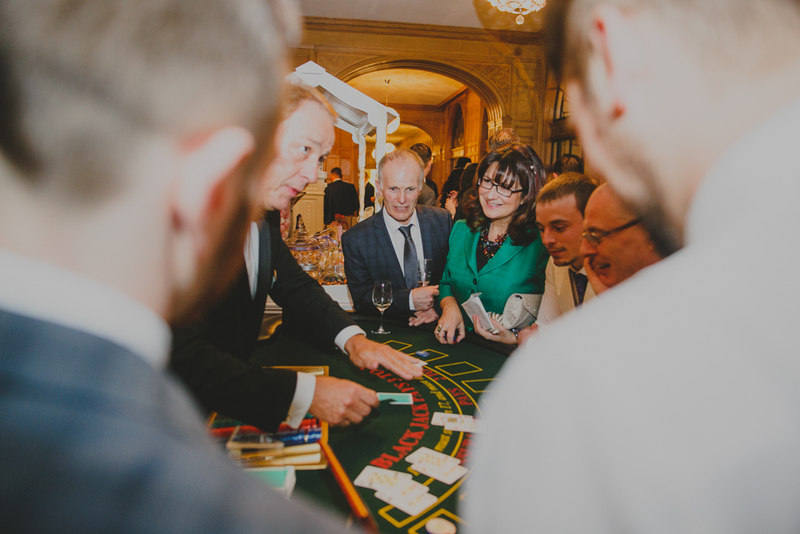 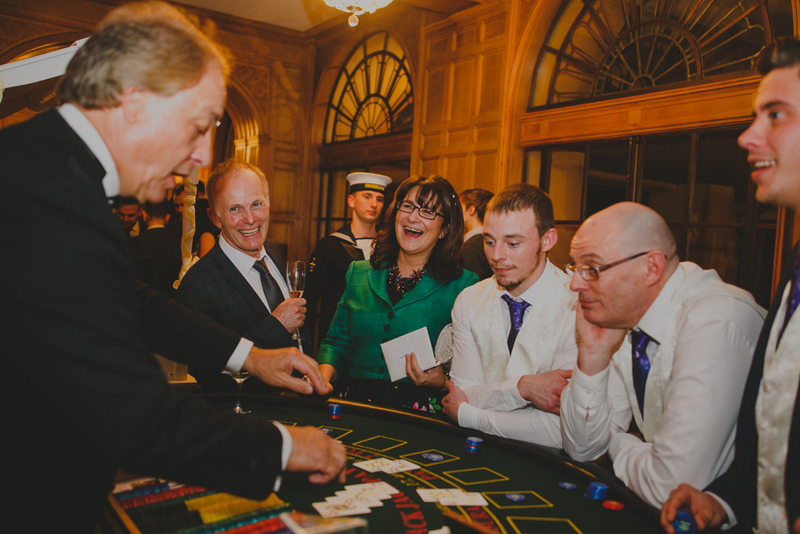 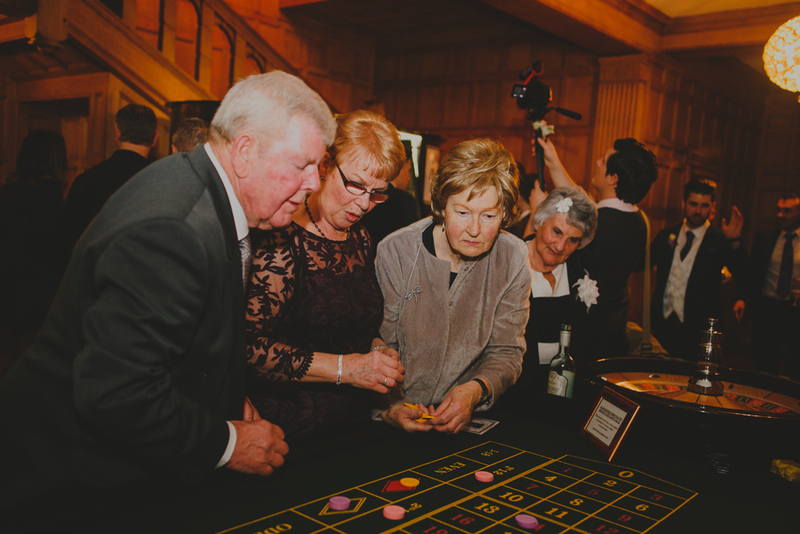 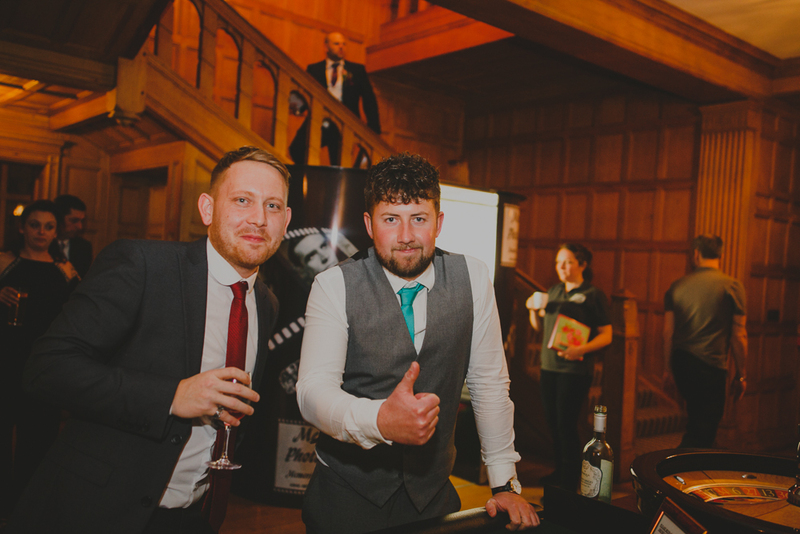 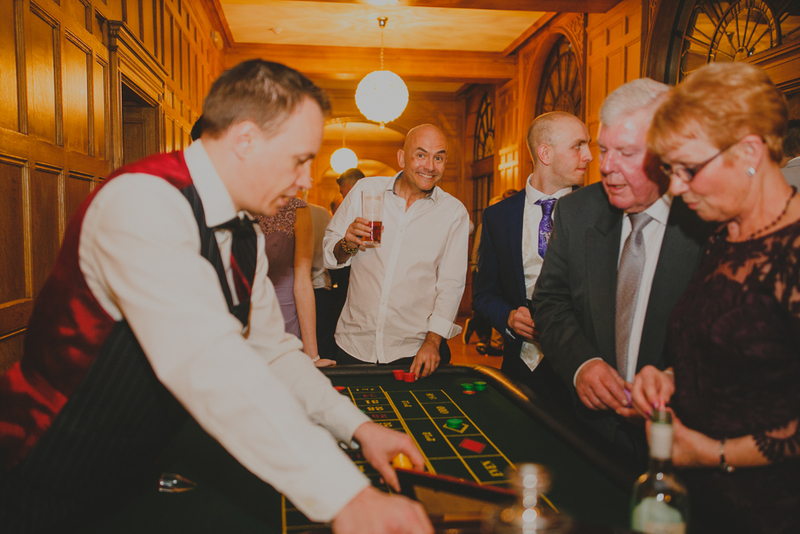 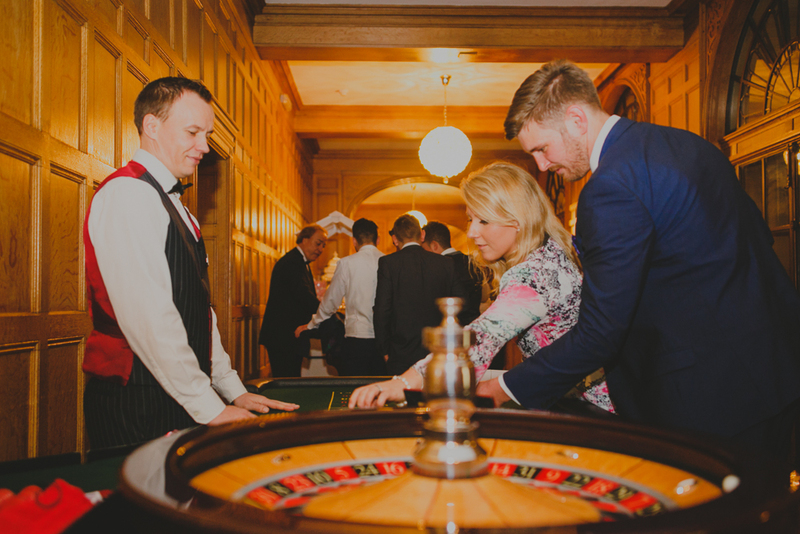 There was a caricaturist, a Krispy Kreme doughnut tower, a cigar and burger bar, a sweet cart, cupcake station and to get the party truly started: a casino! 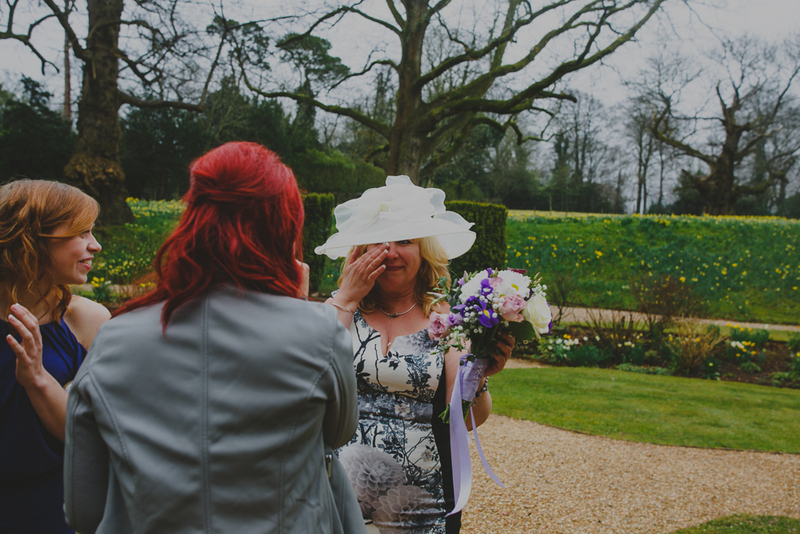 It was an incredible day for all; emotional, funny but most of all – filled with the deepest love.